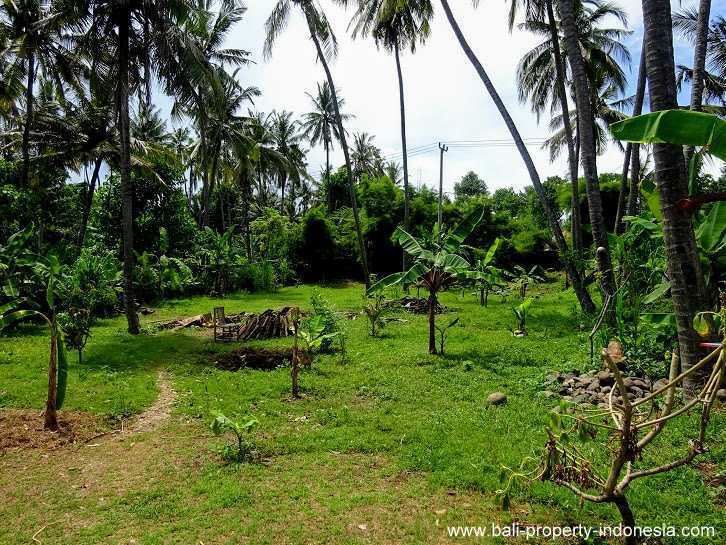 This piece of land is almost 1 hectare large. 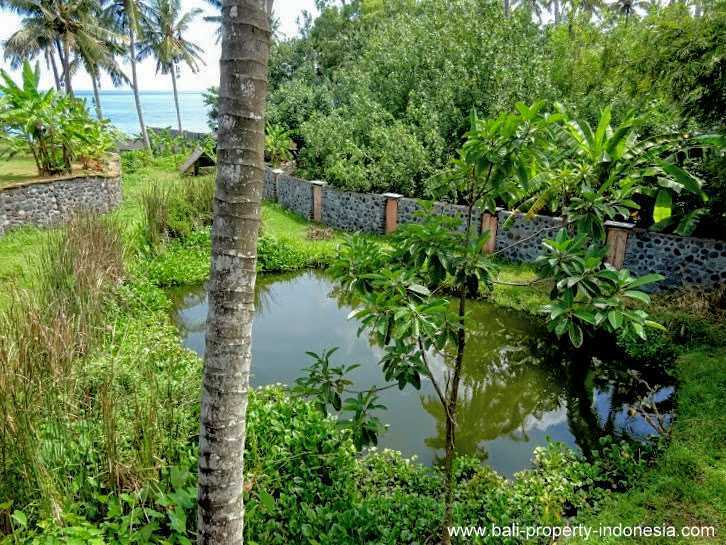 The land is having a wide ocean frontage. 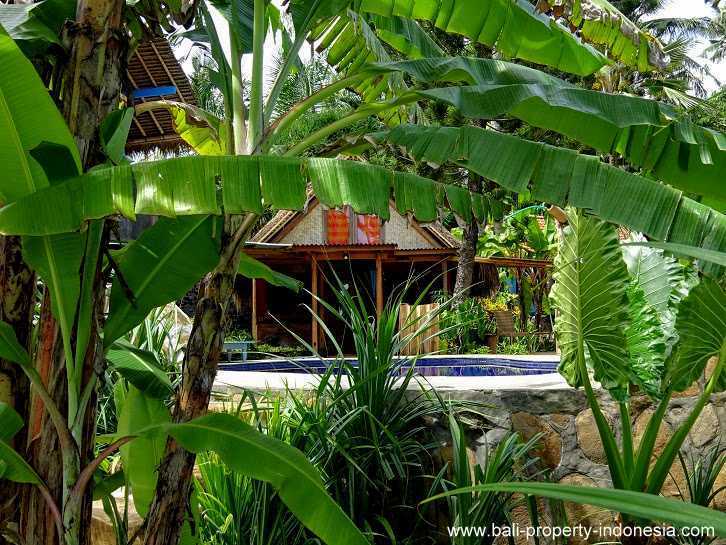 On the land, you already will find some bungalows and a small swimming pool. 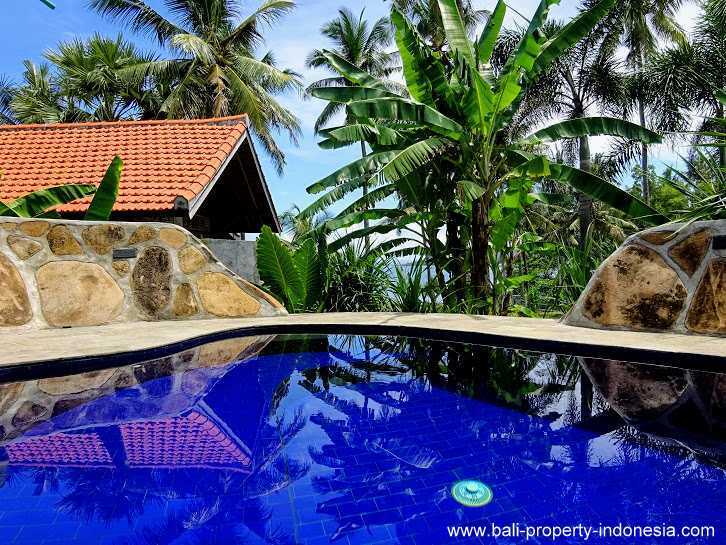 A perfect combination to start your future private resort. 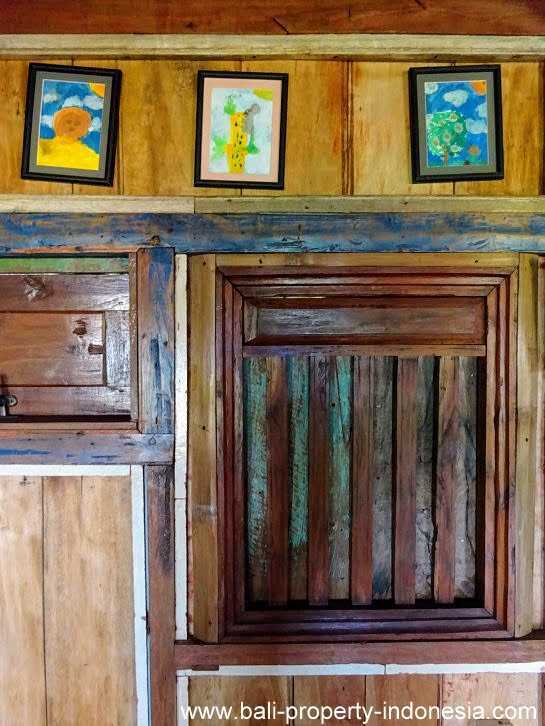 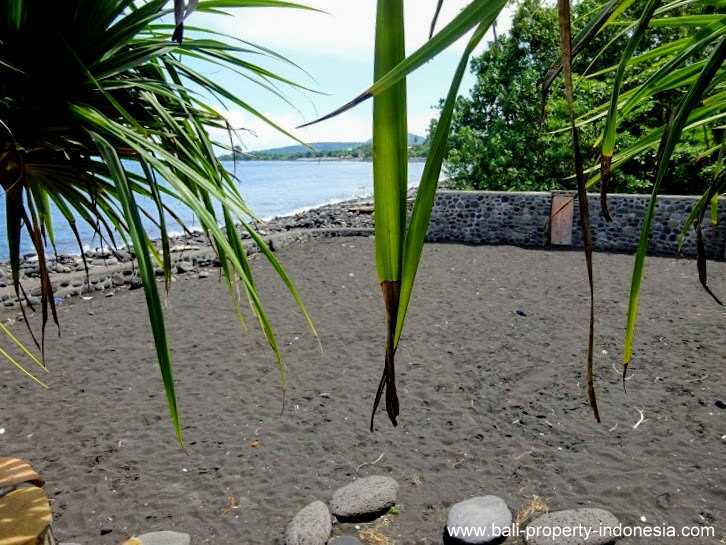 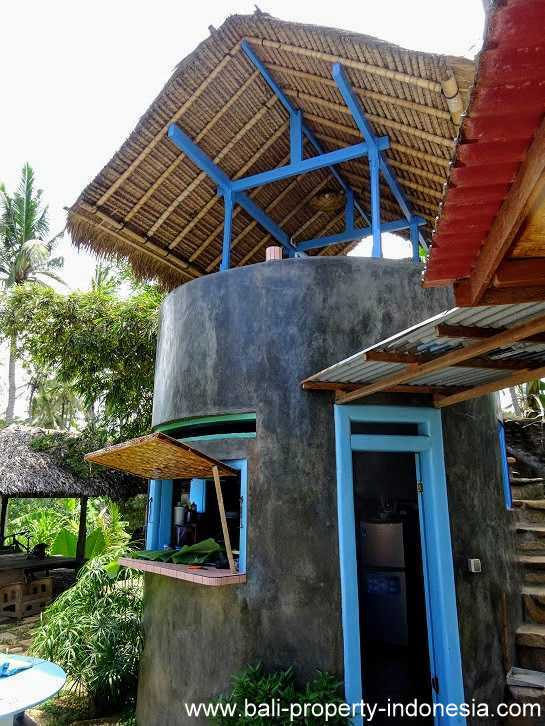 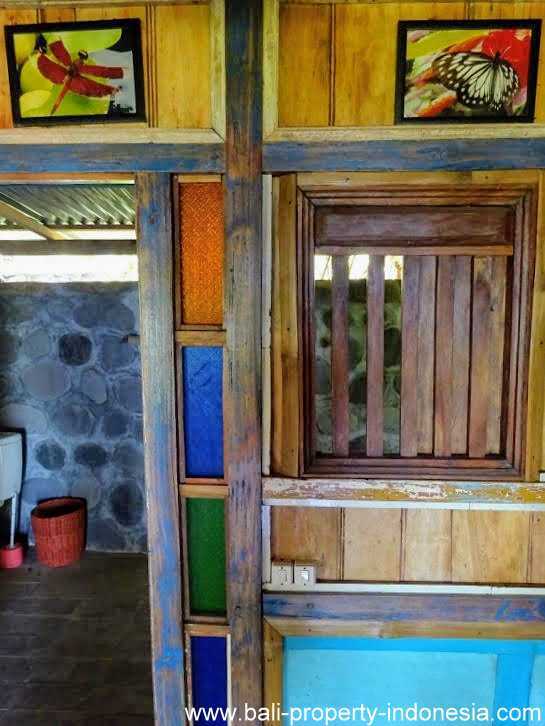 The owner has built a retaining wall as well as a black sand beach. 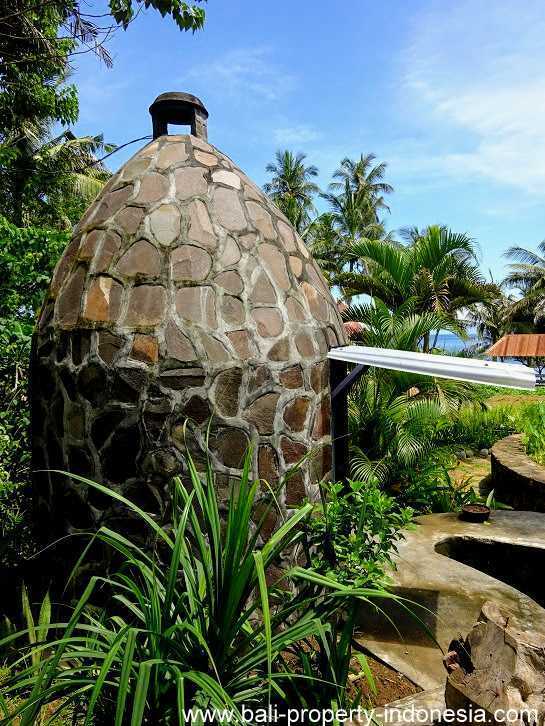 On the land you will find a natural well, surrounded by a wall. 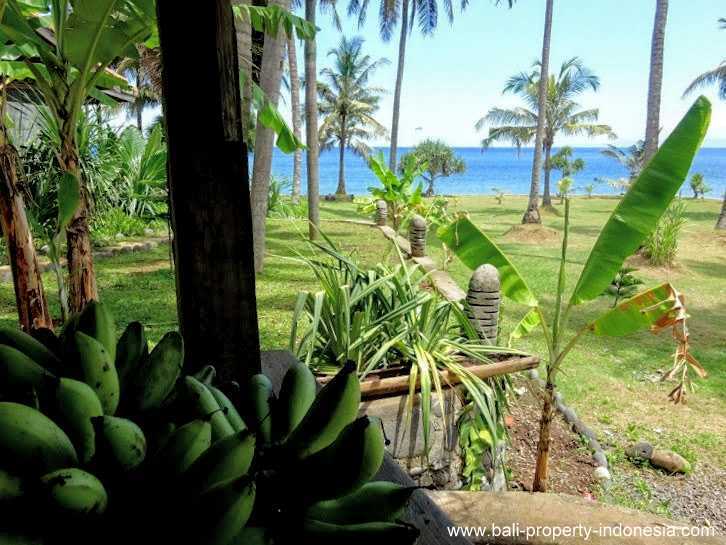 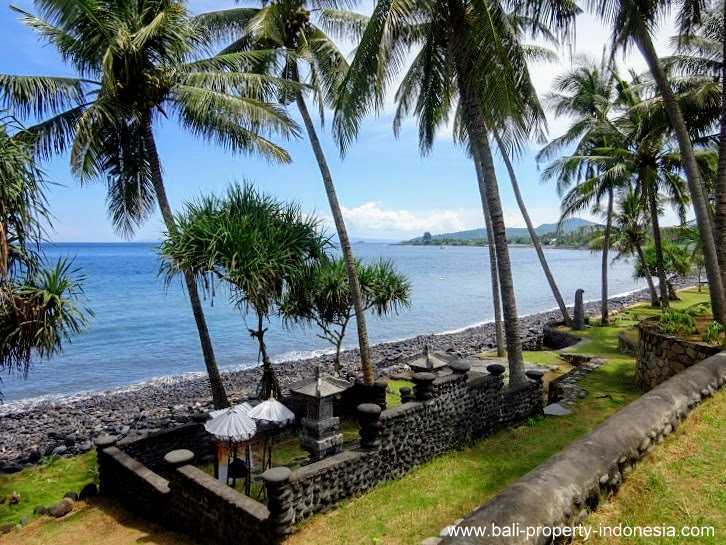 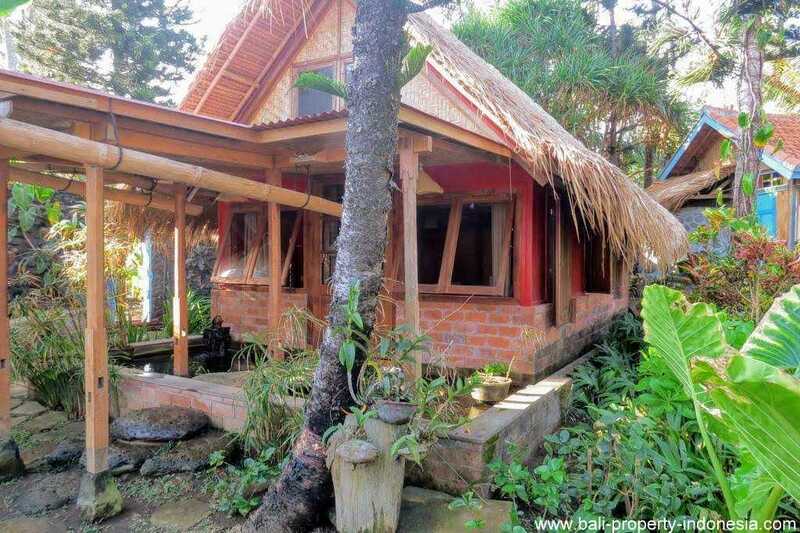 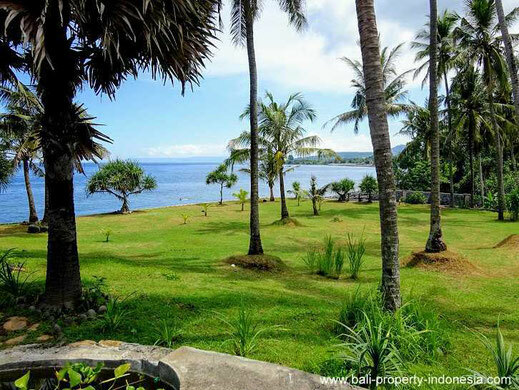 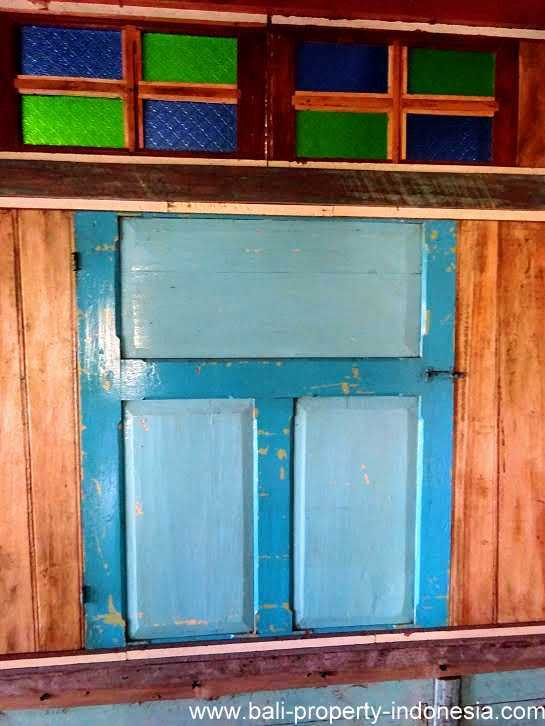 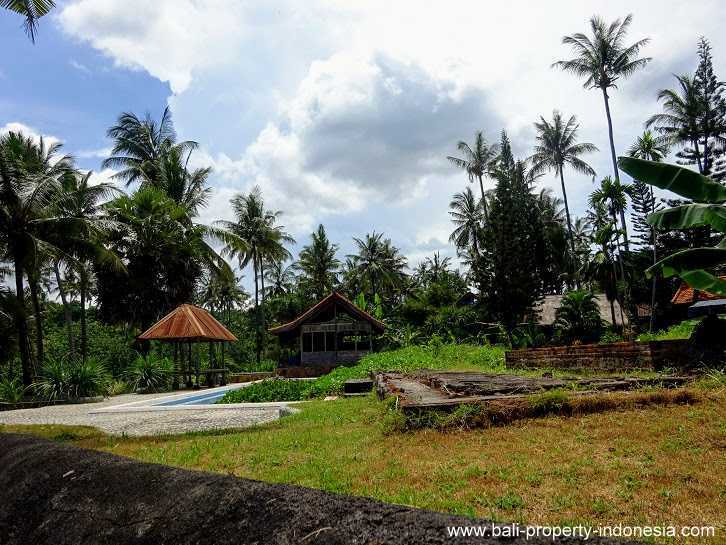 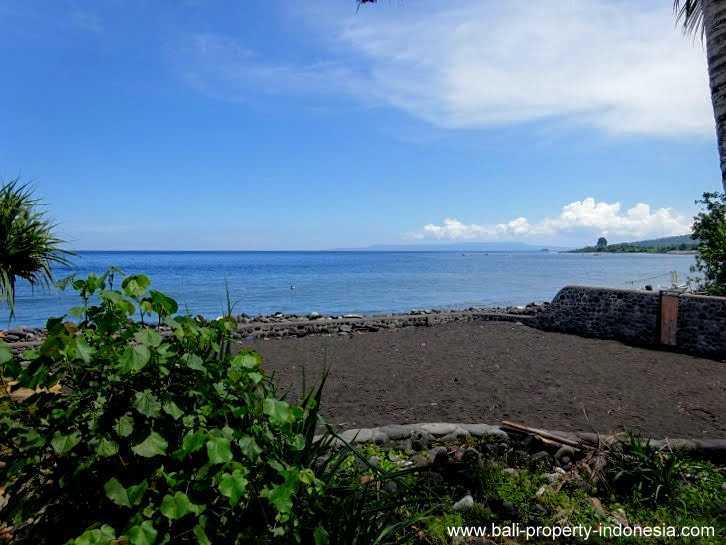 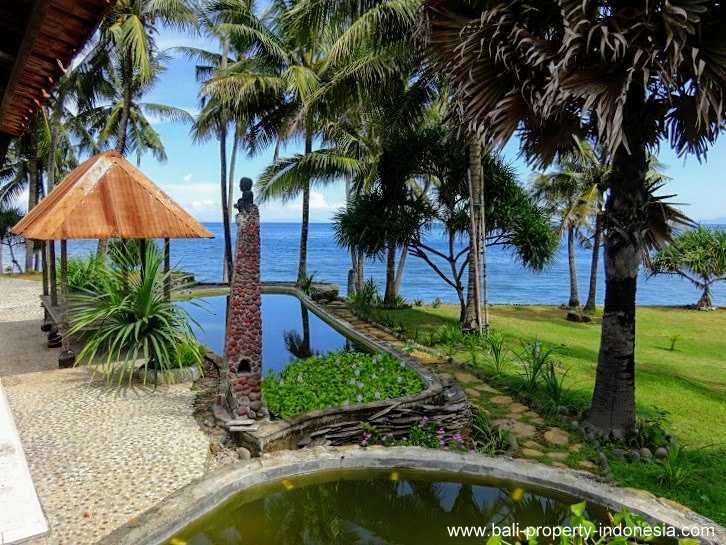 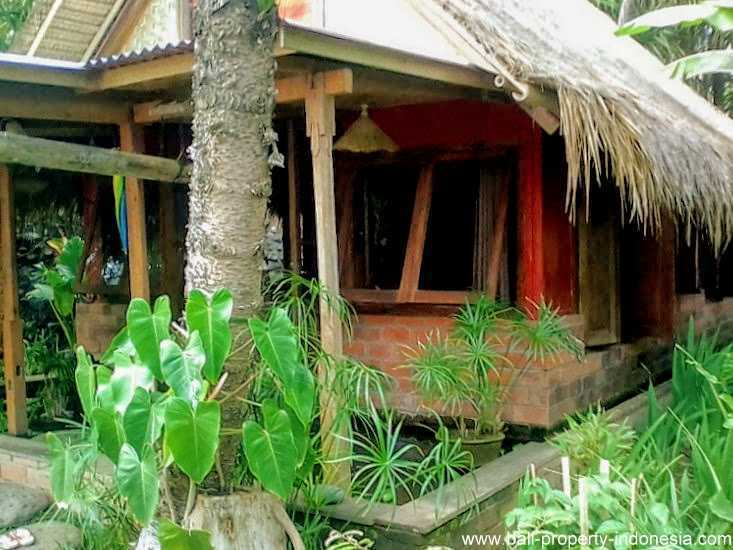 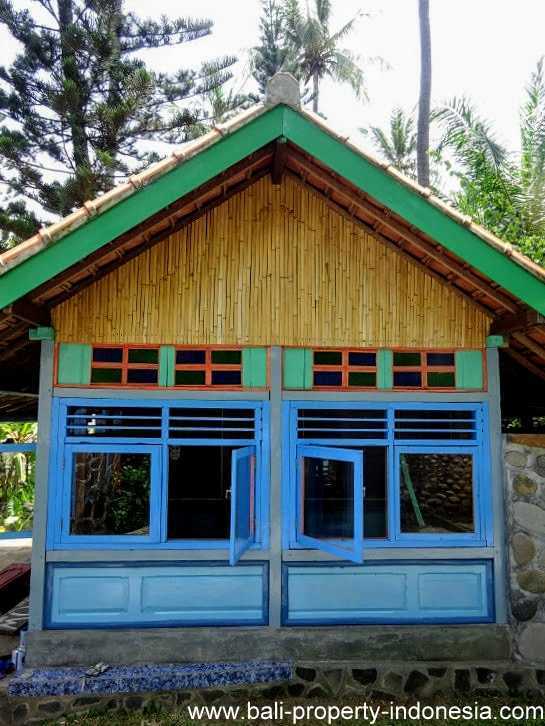 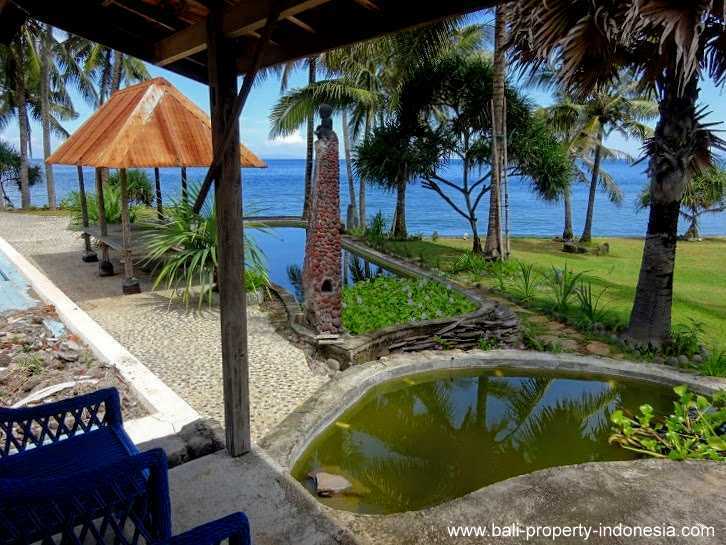 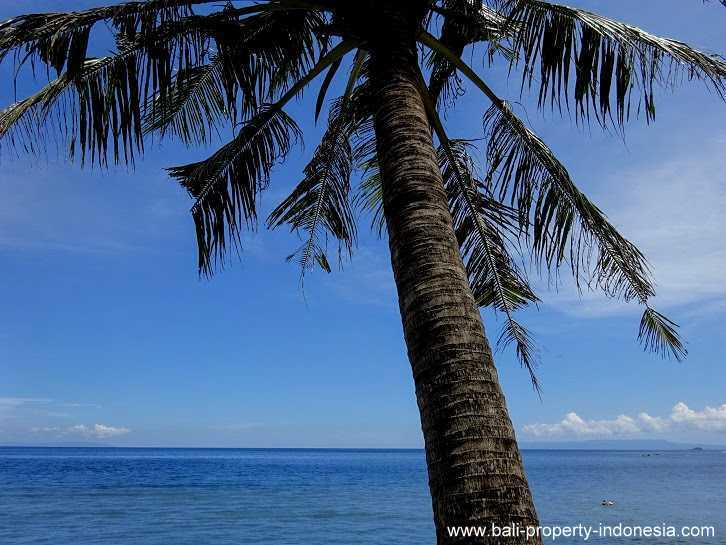 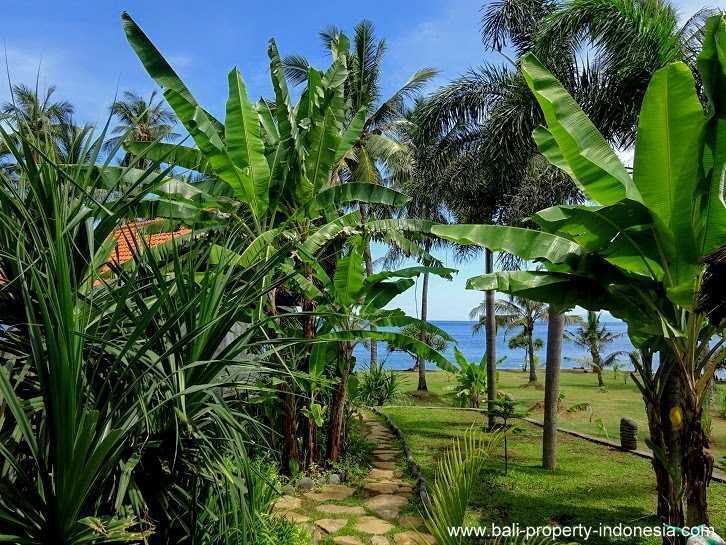 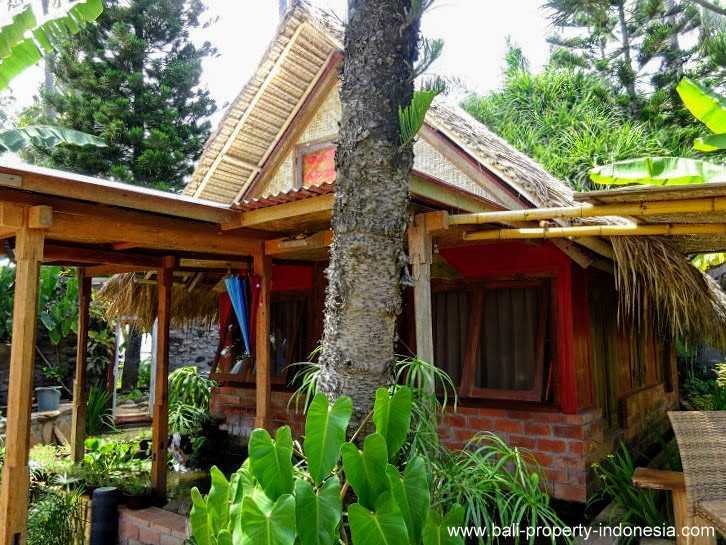 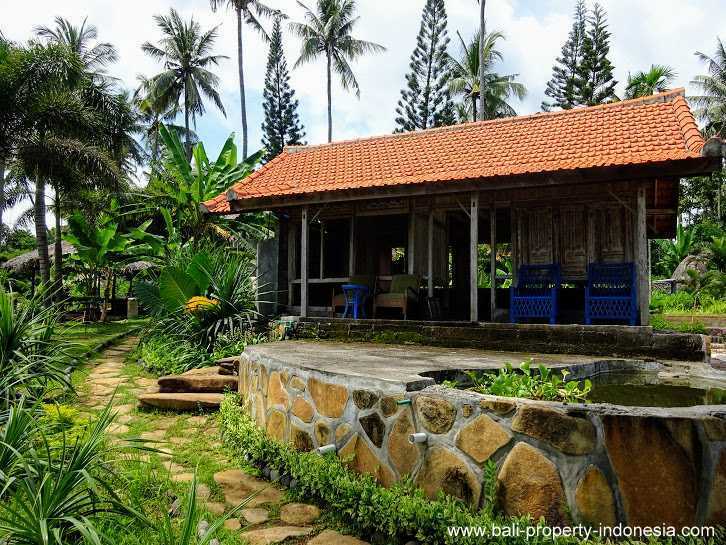 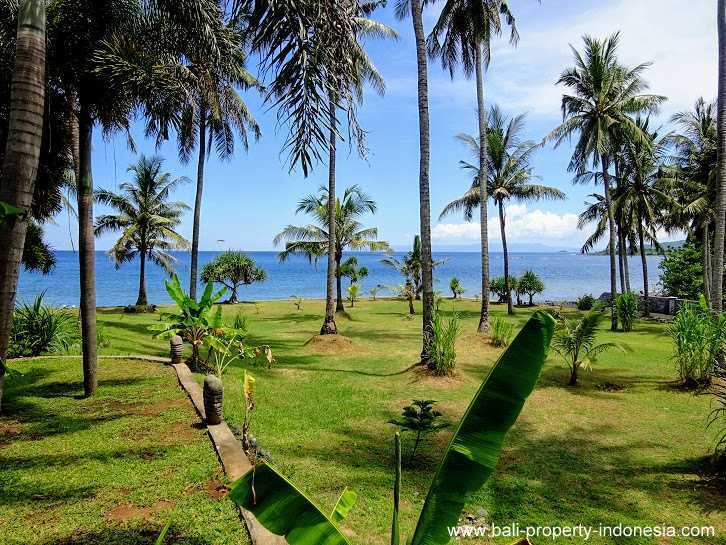 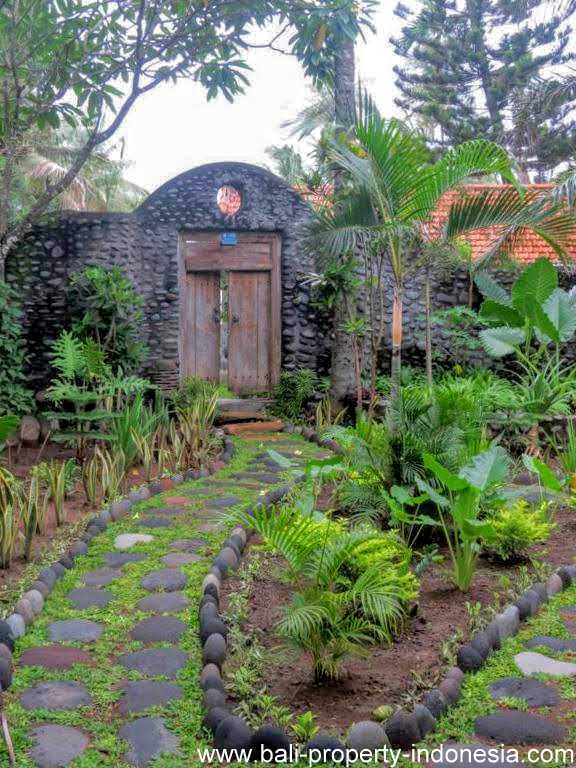 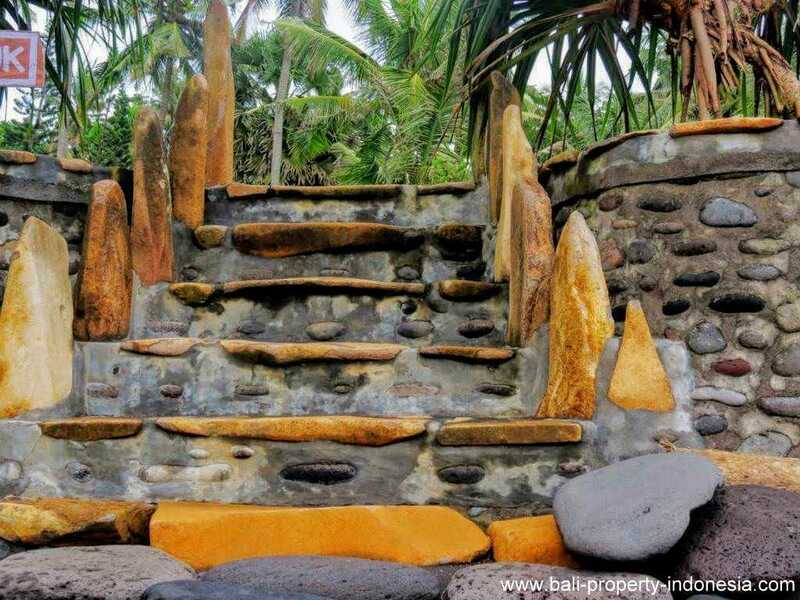 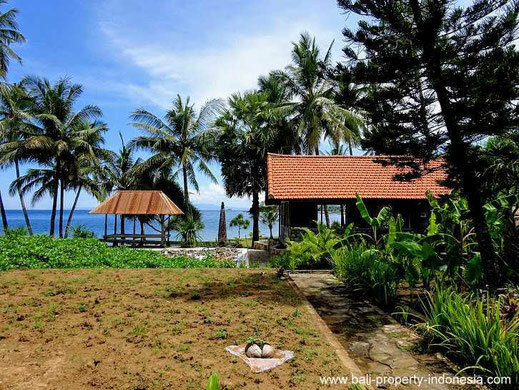 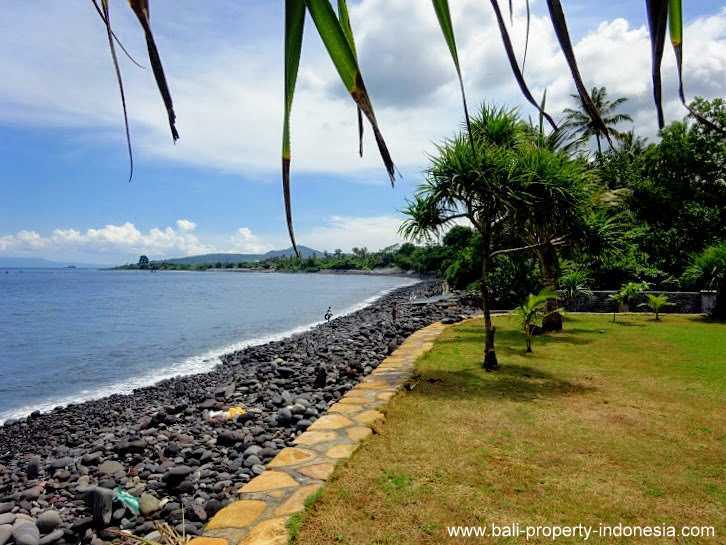 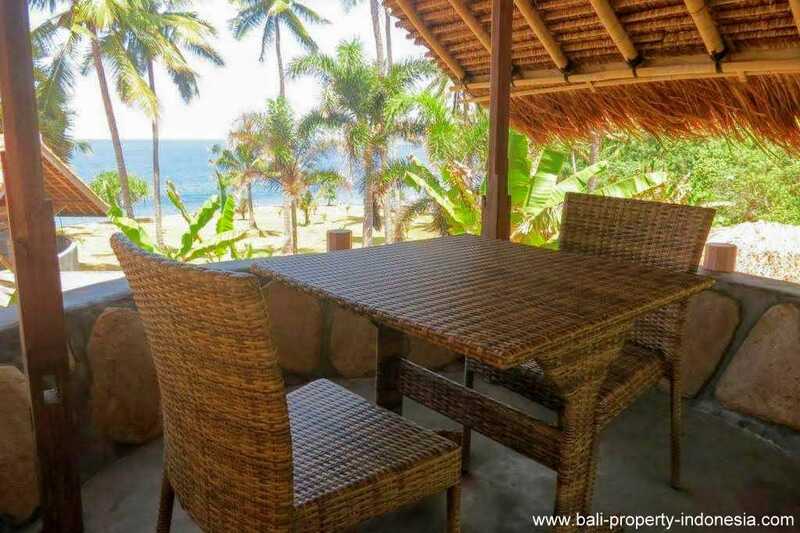 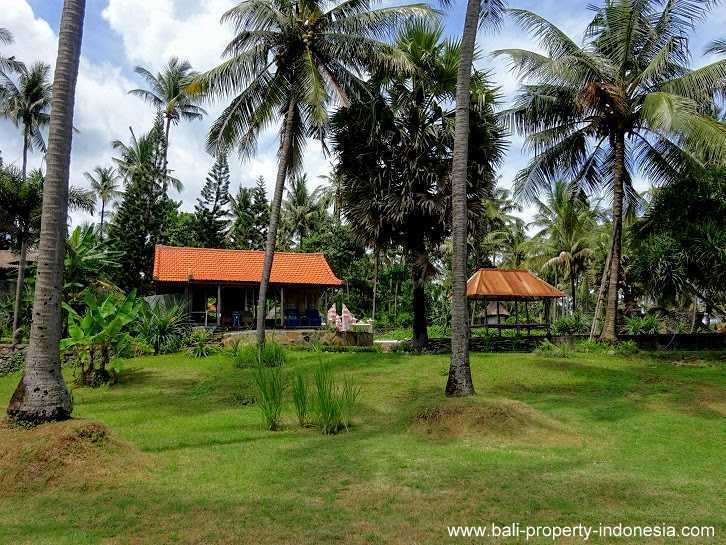 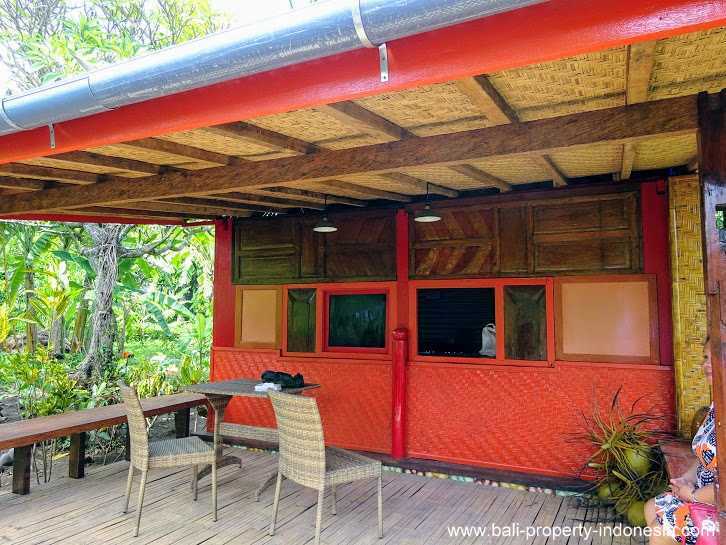 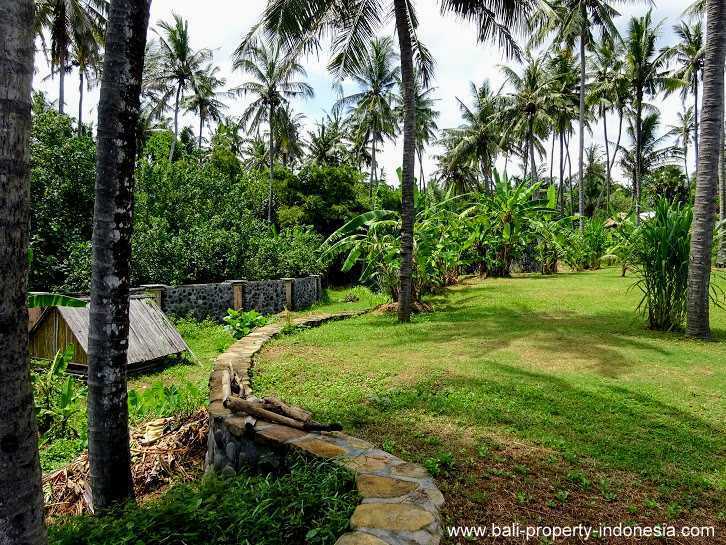 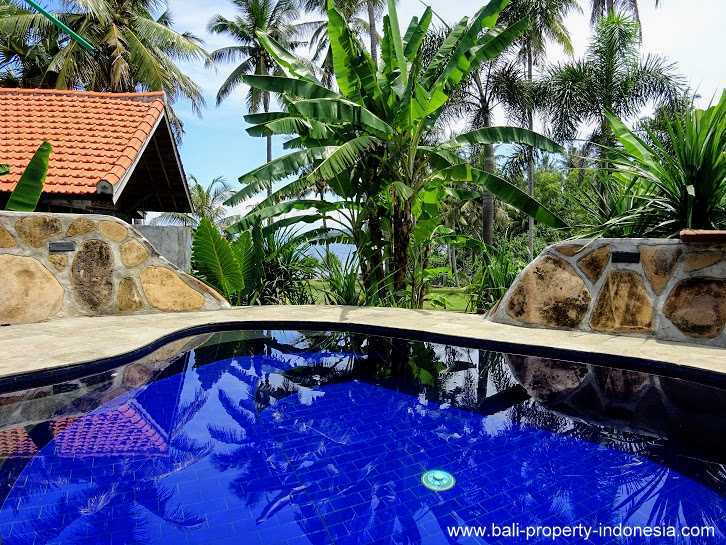 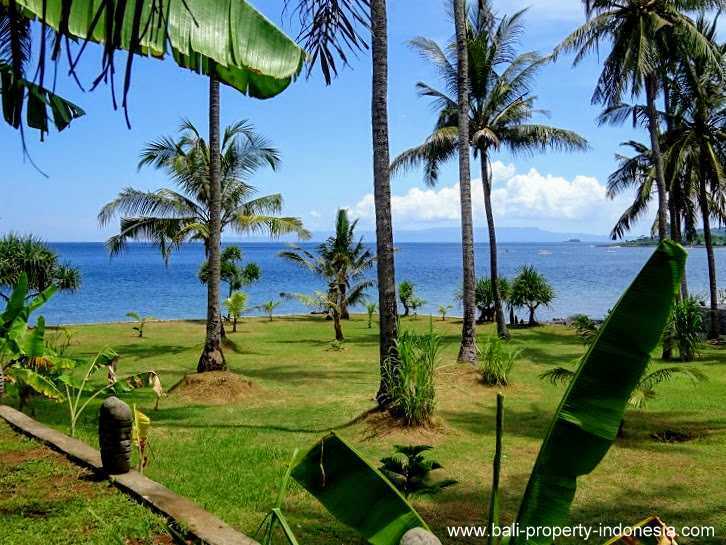 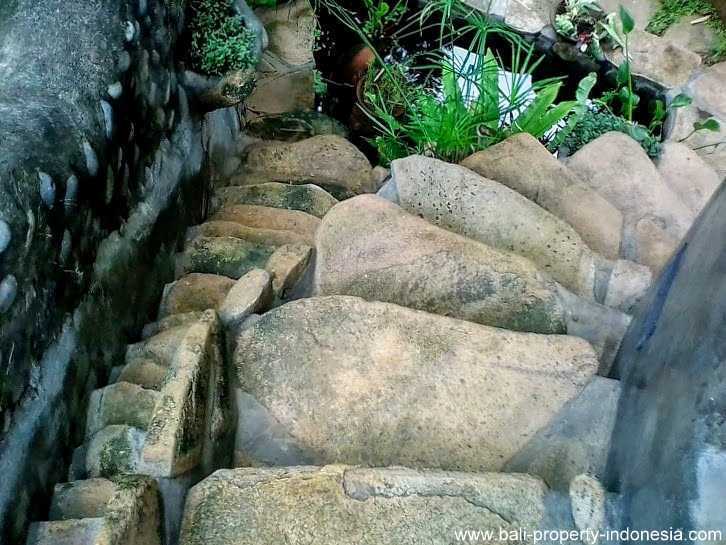 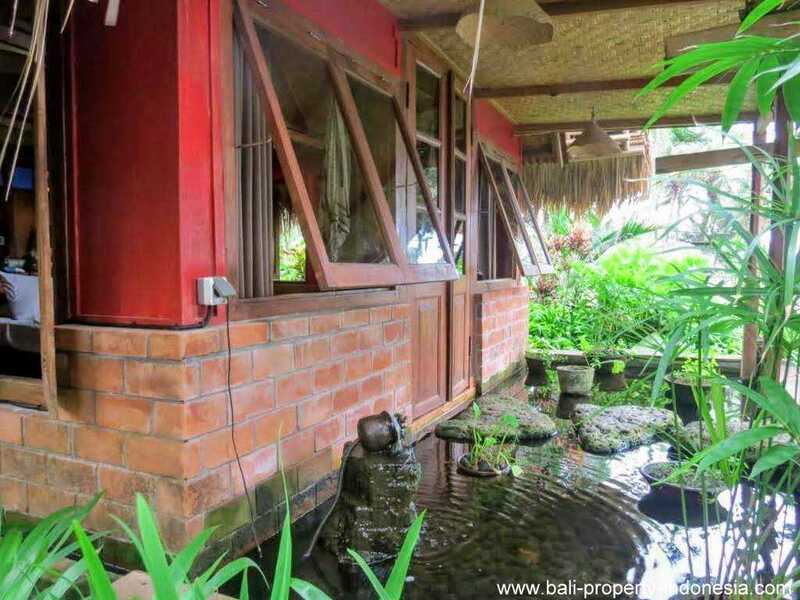 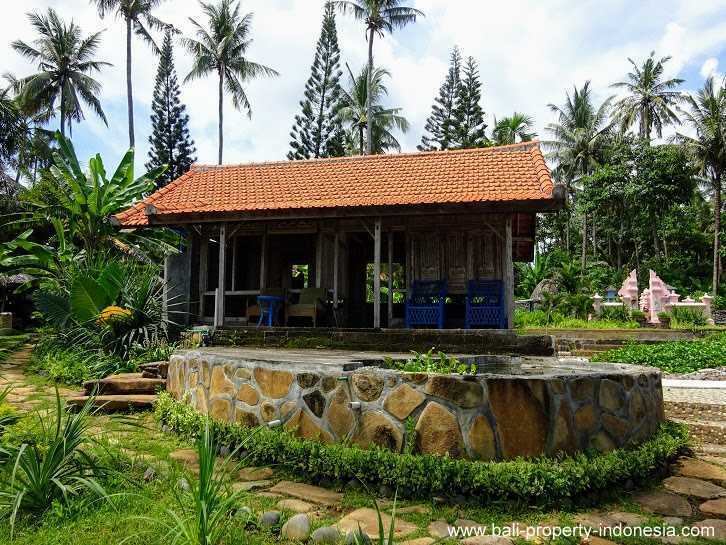 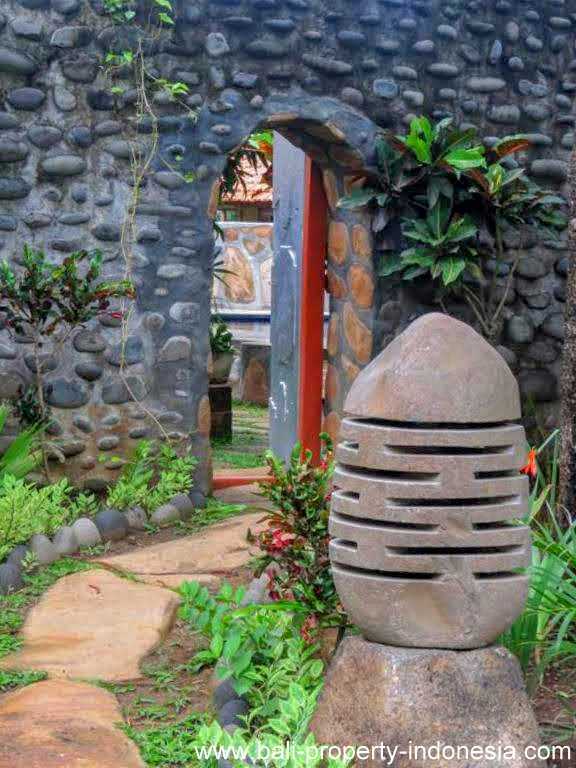 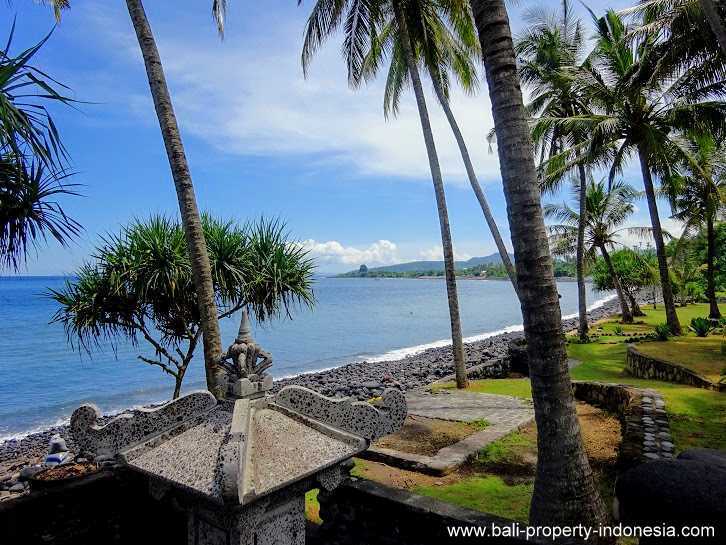 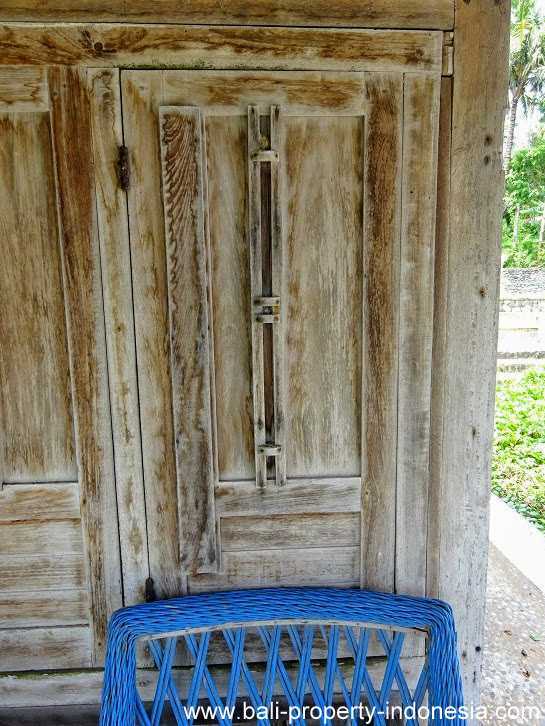 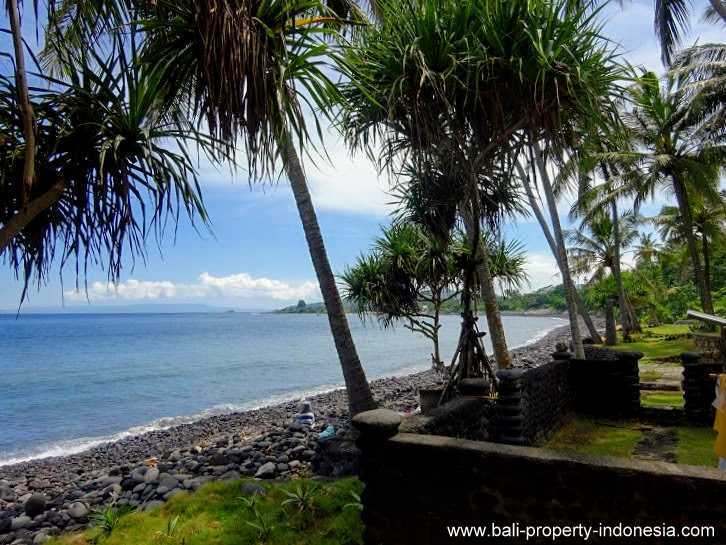 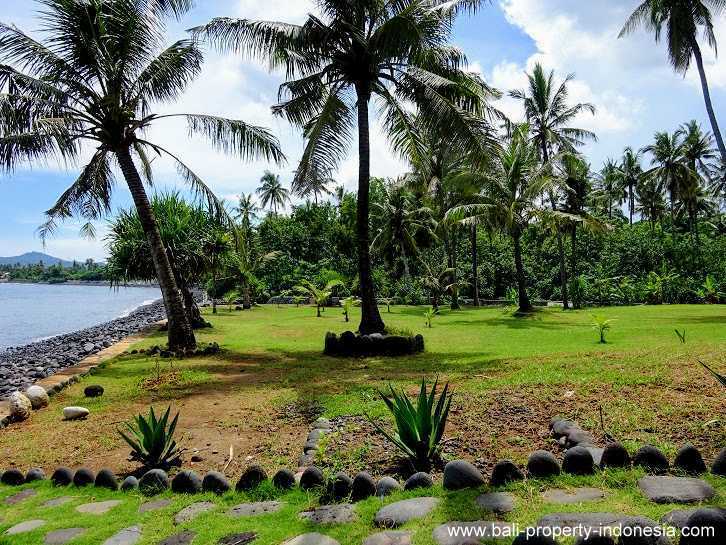 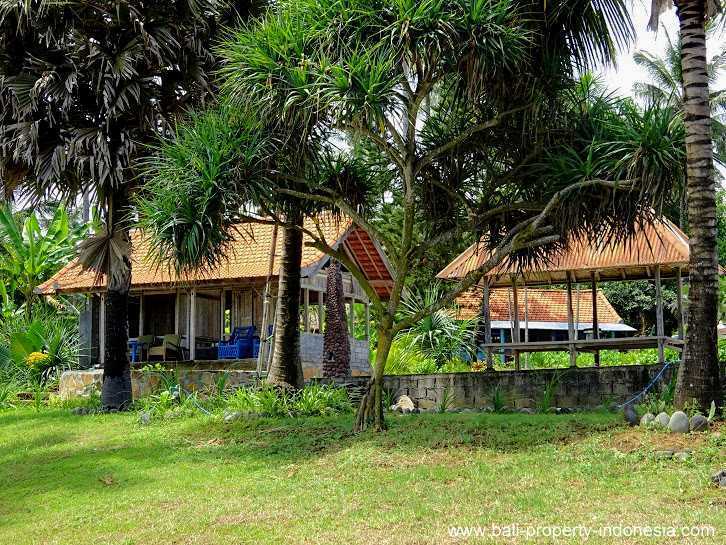 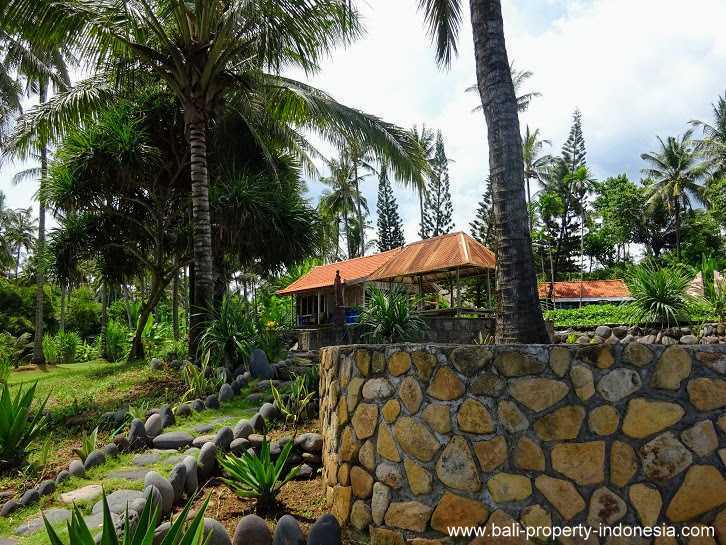 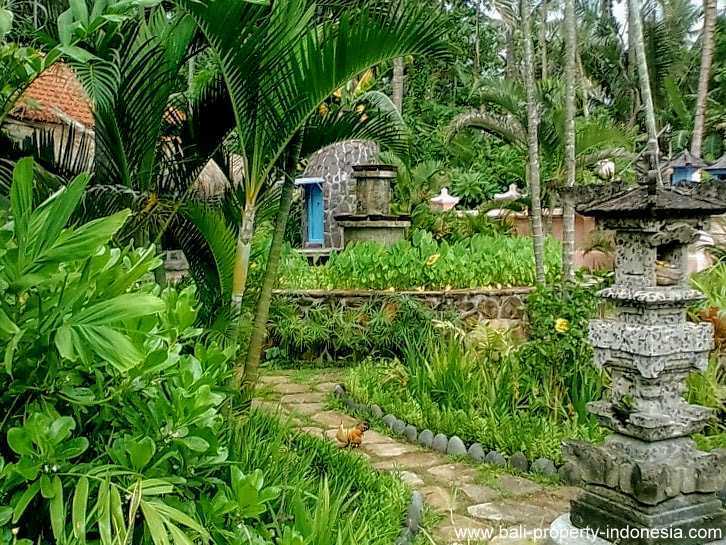 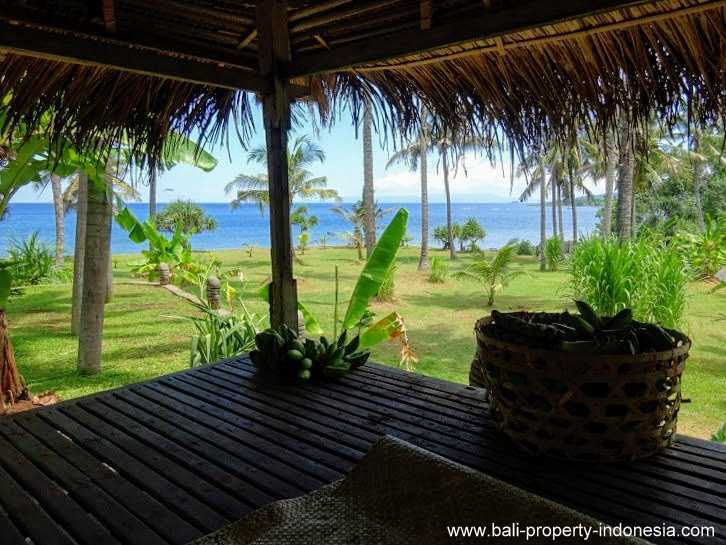 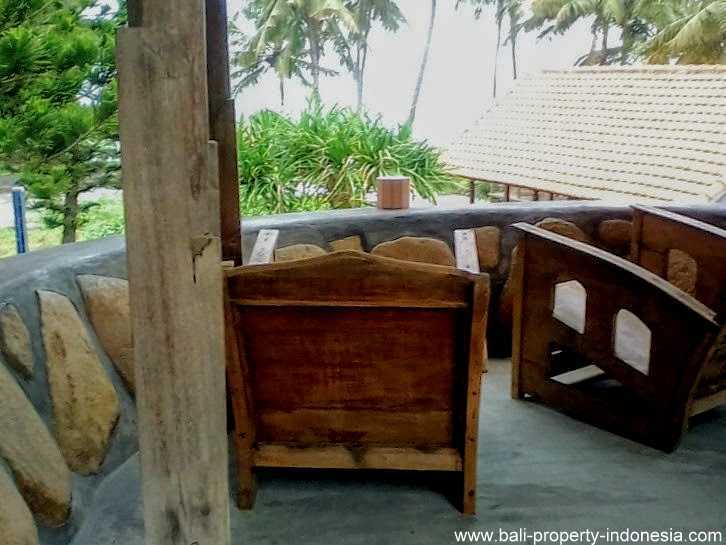 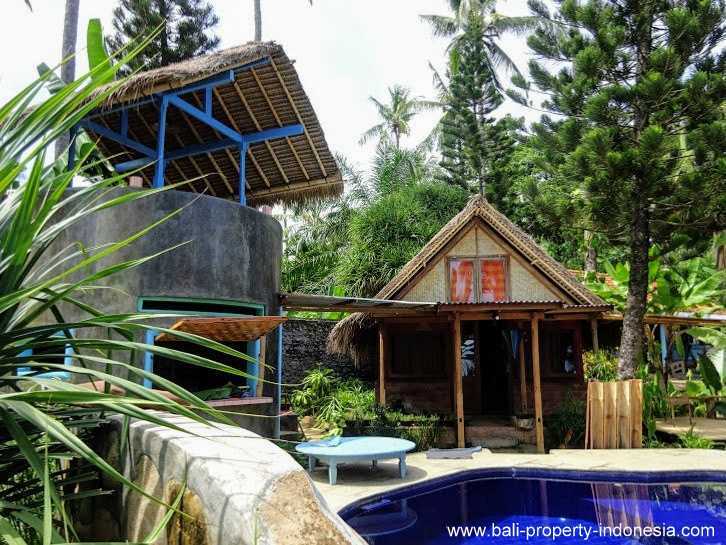 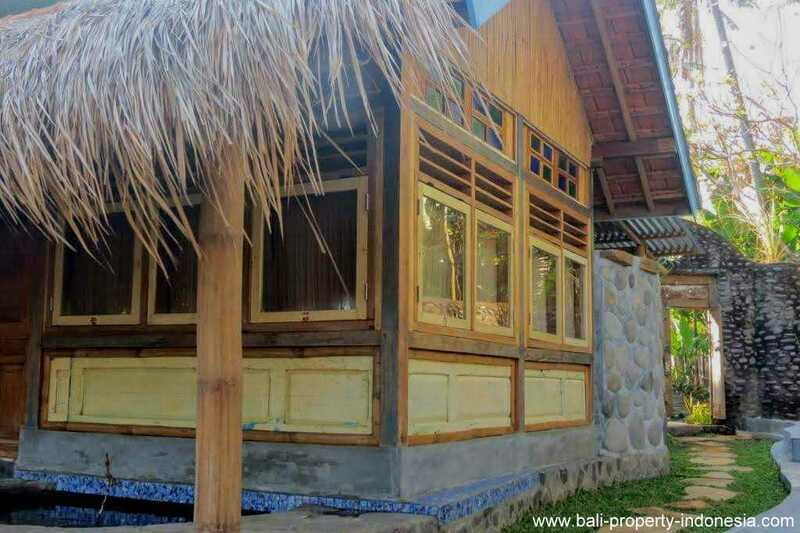 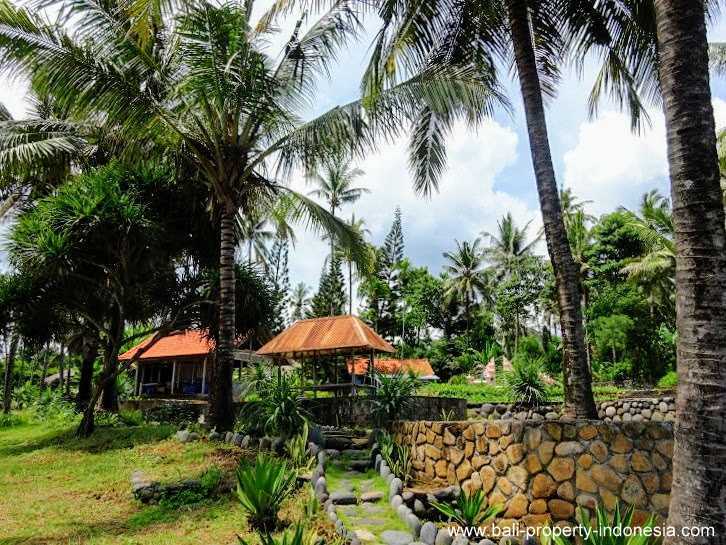 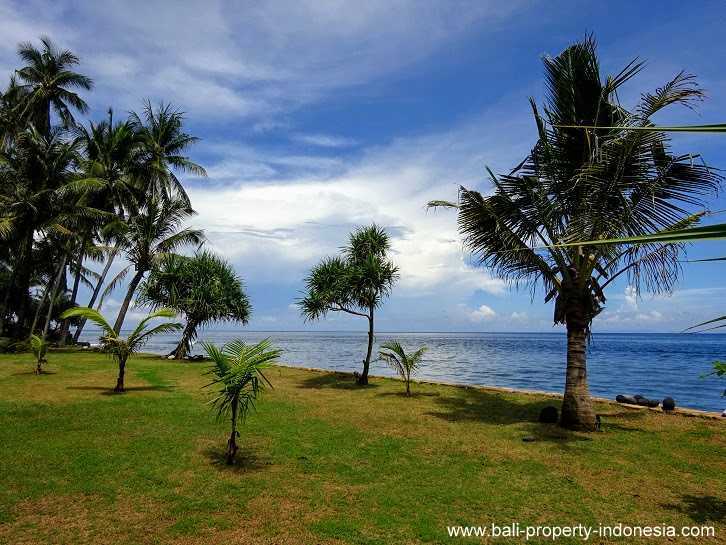 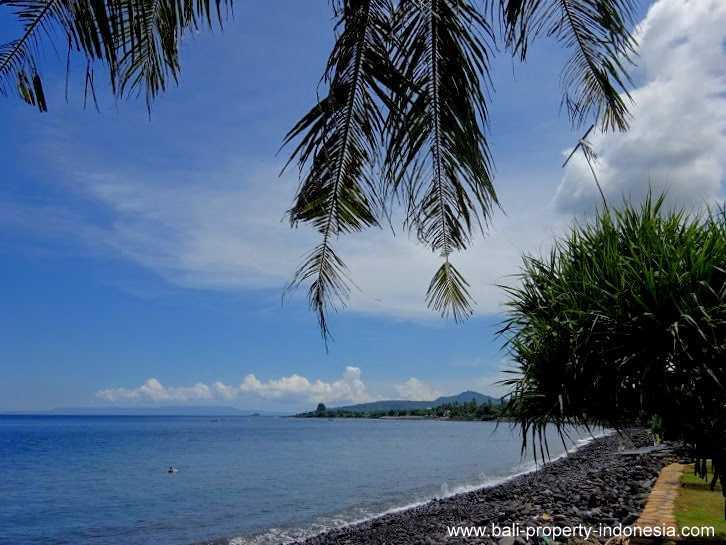 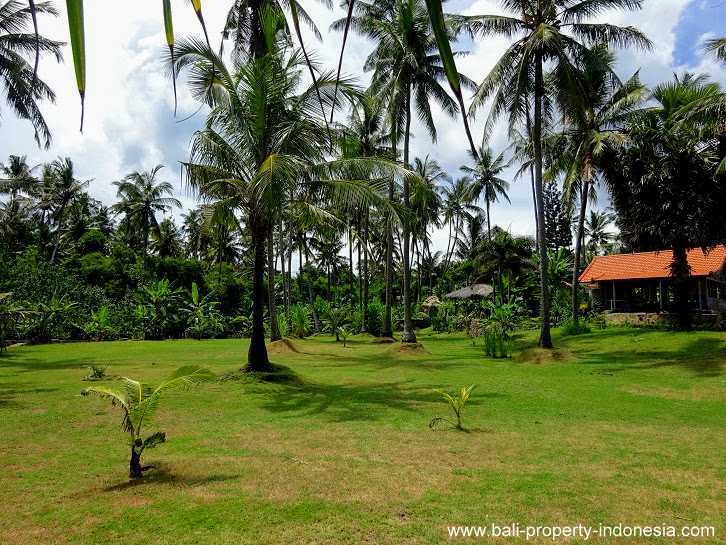 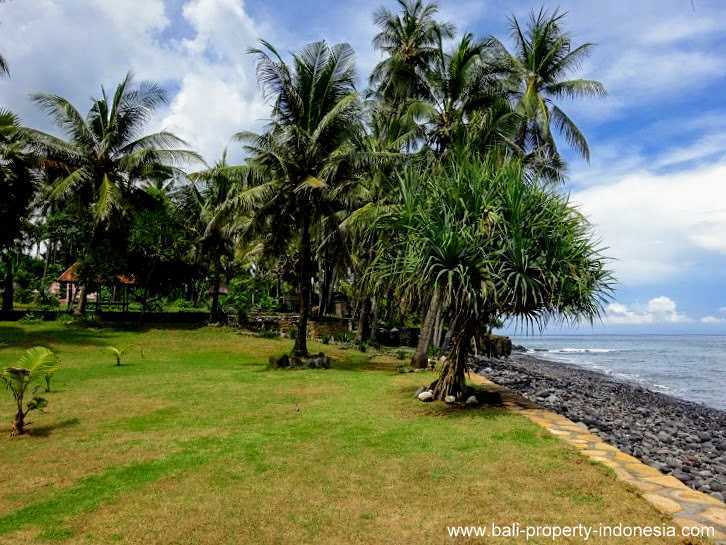 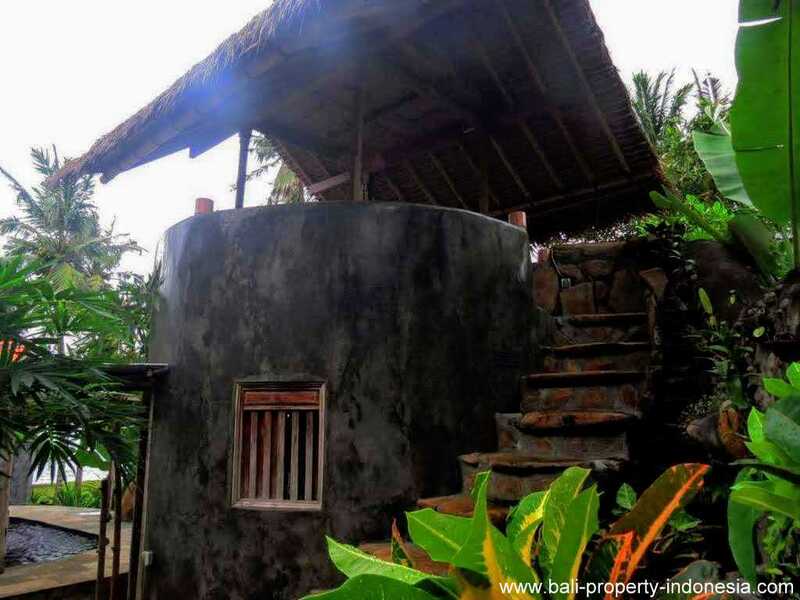 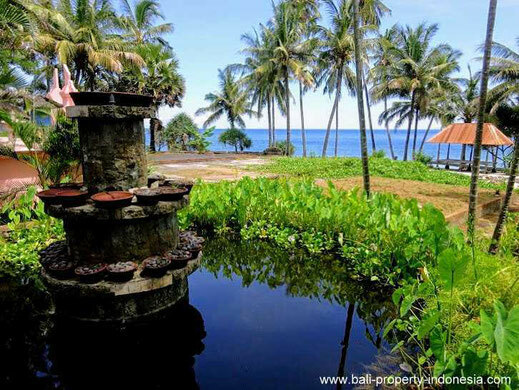 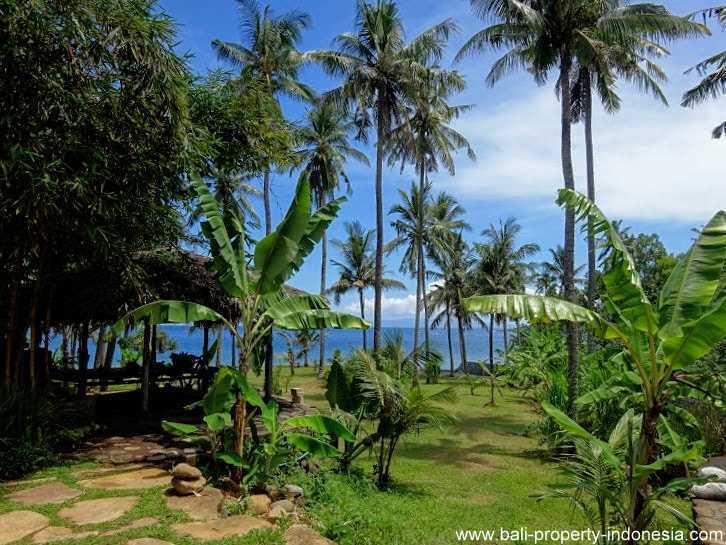 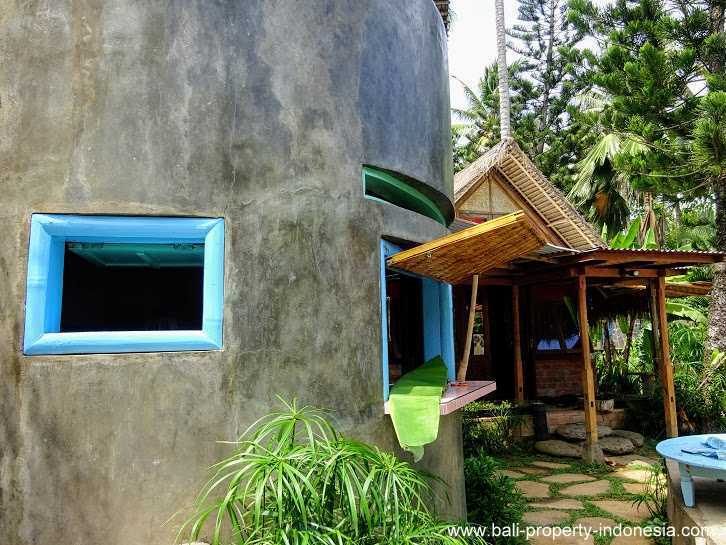 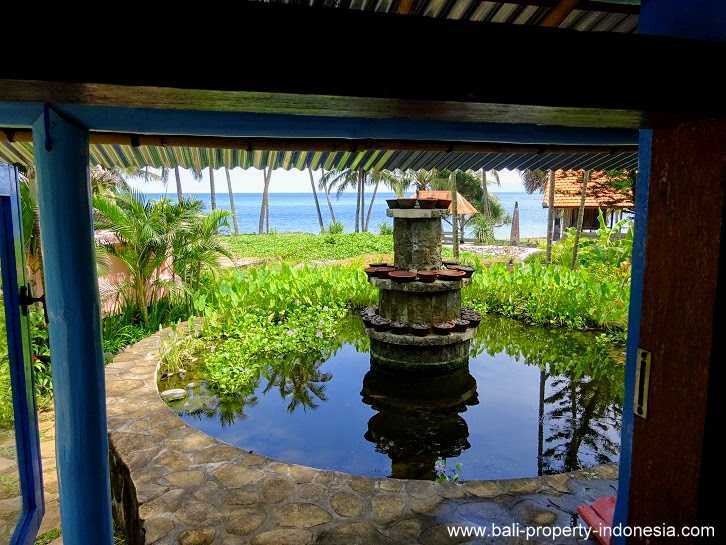 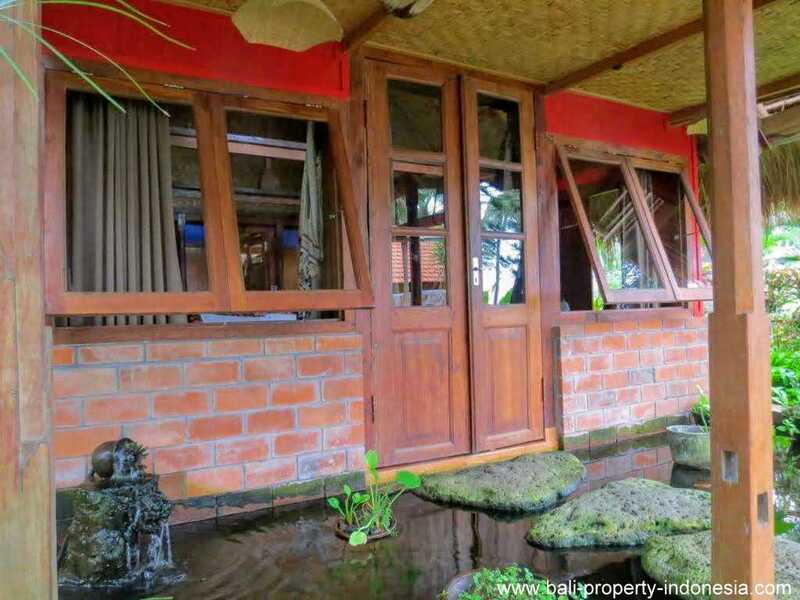 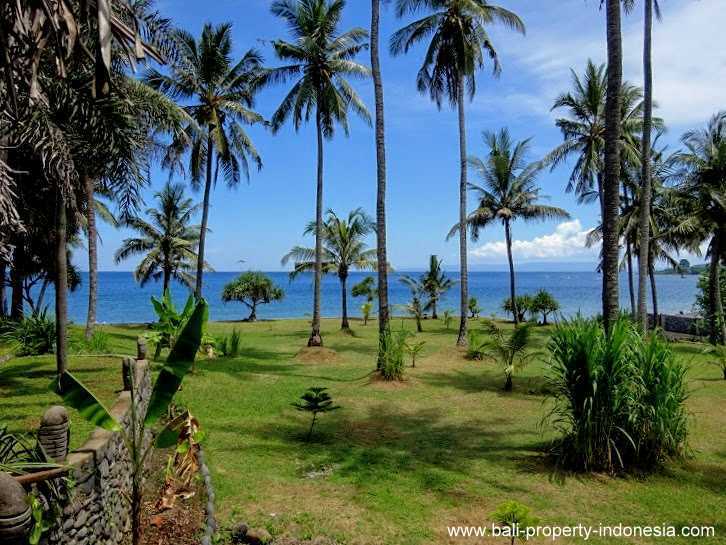 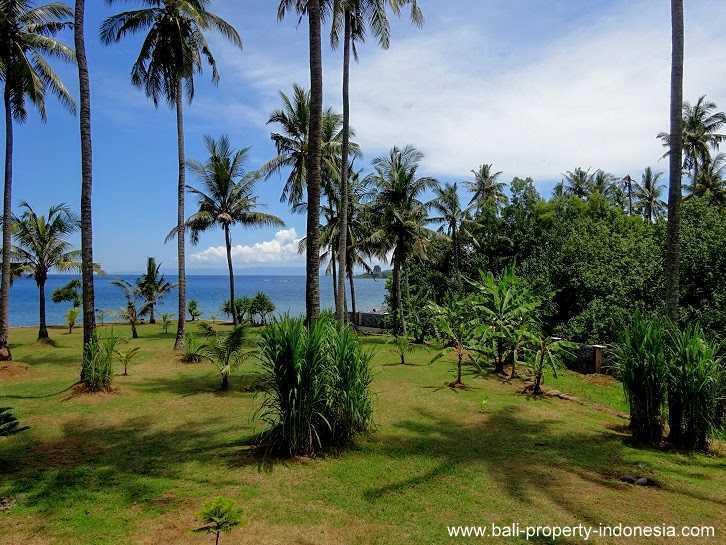 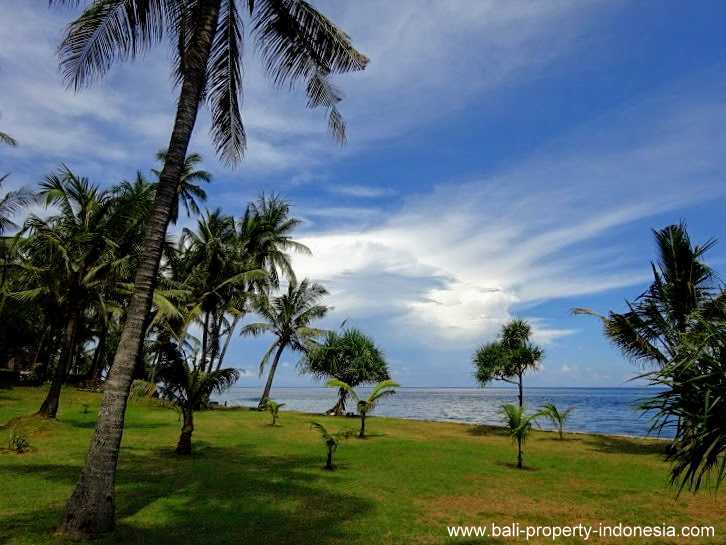 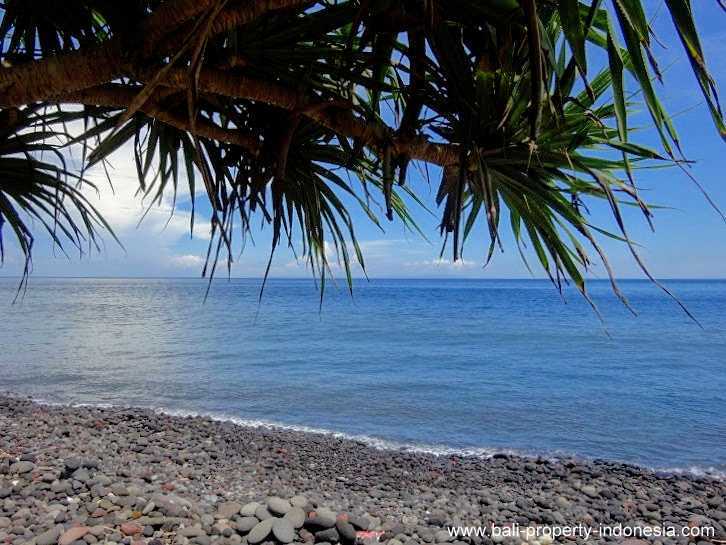 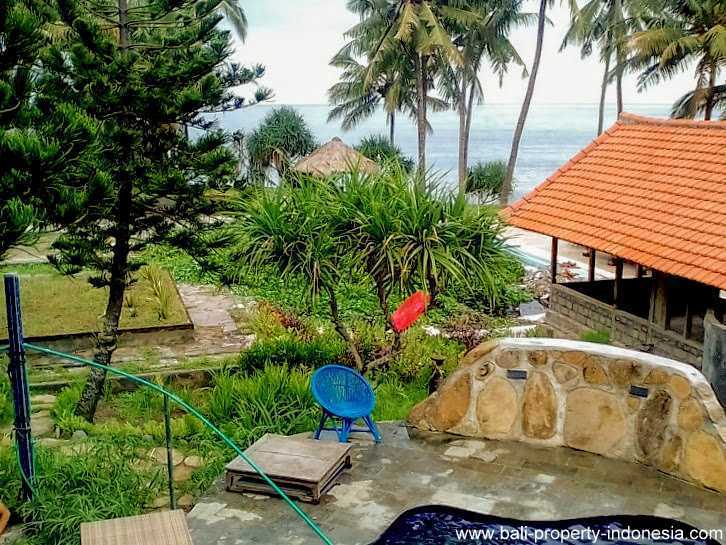 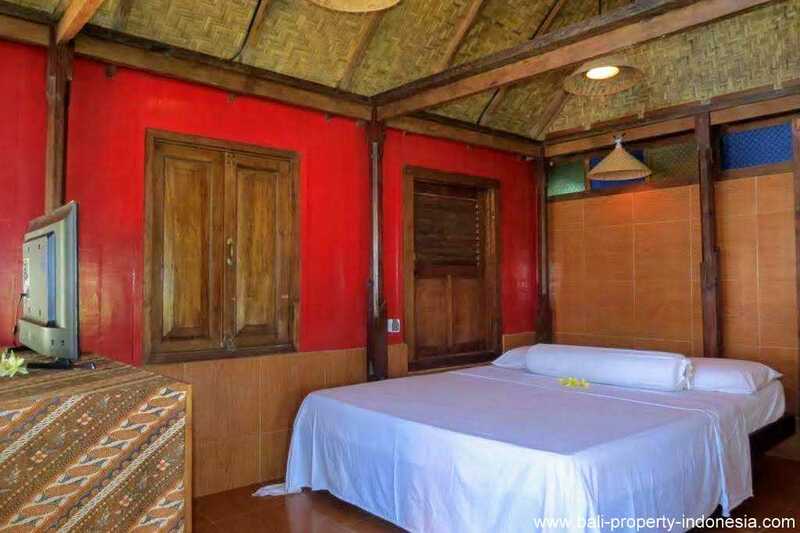 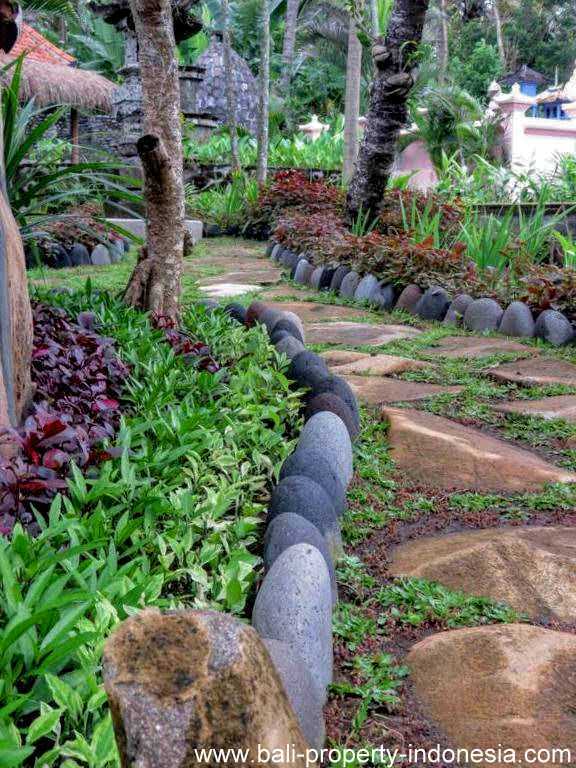 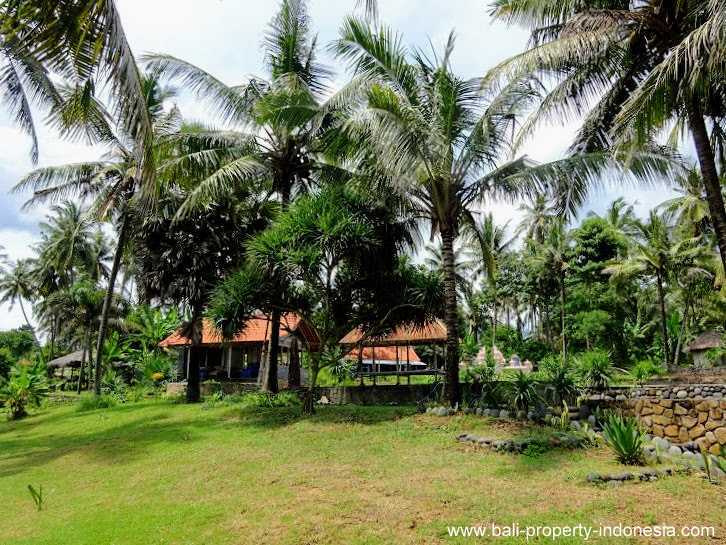 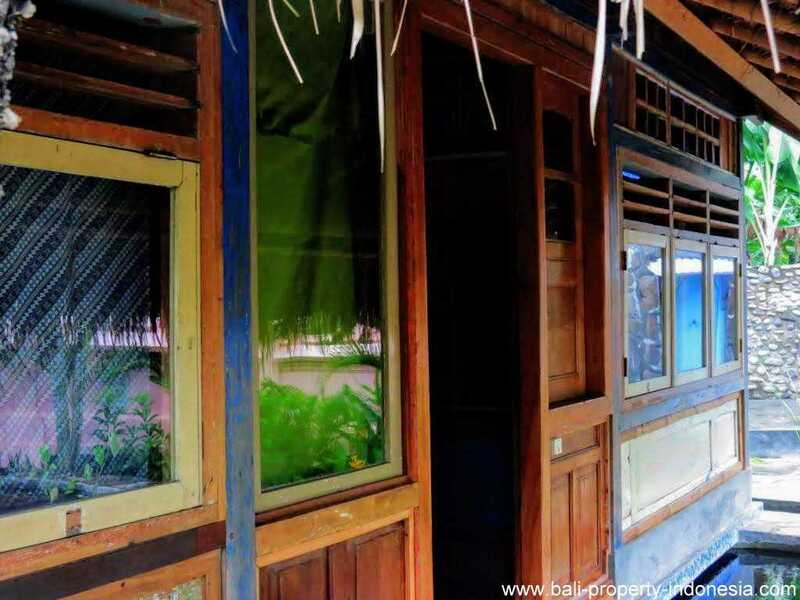 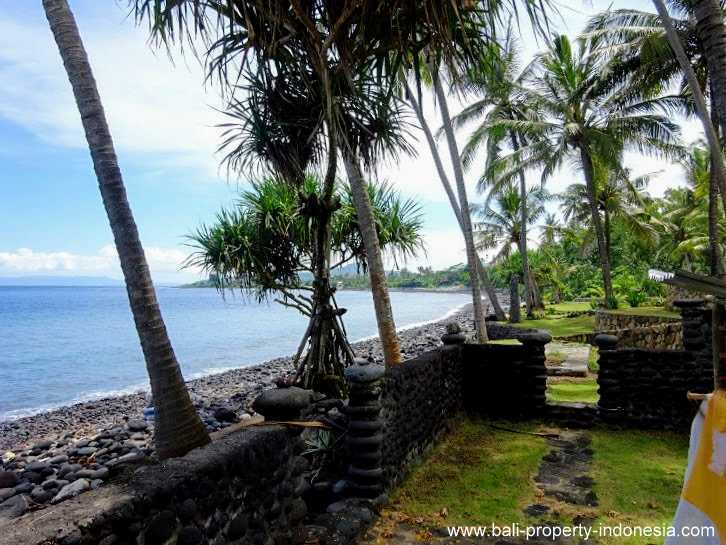 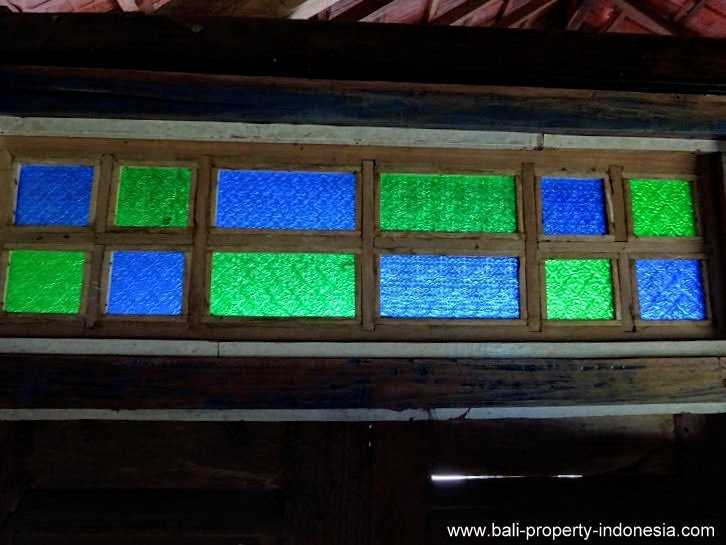 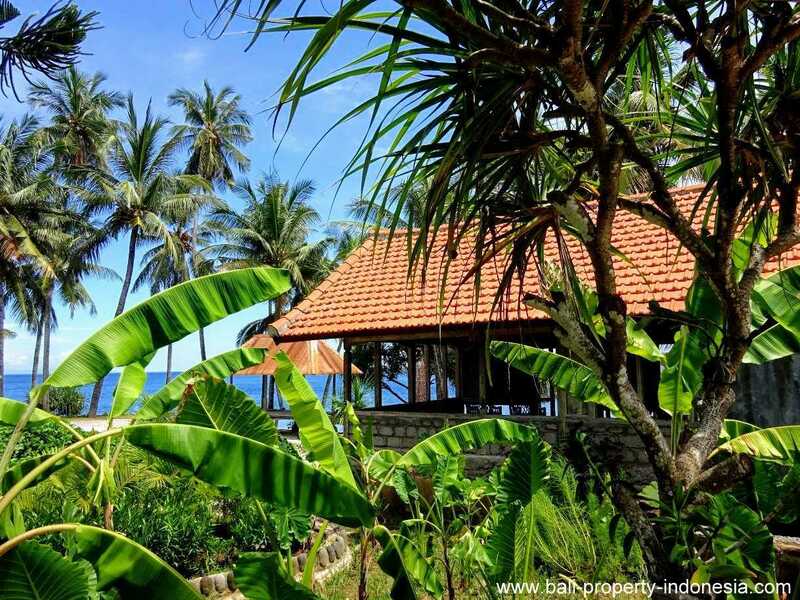 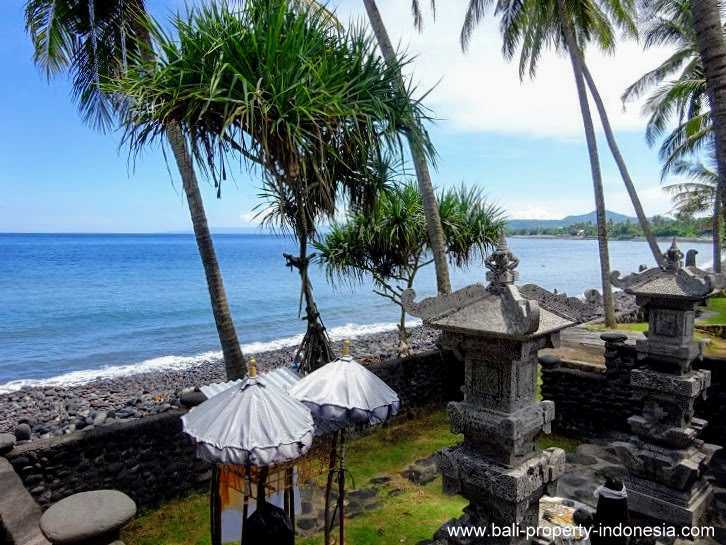 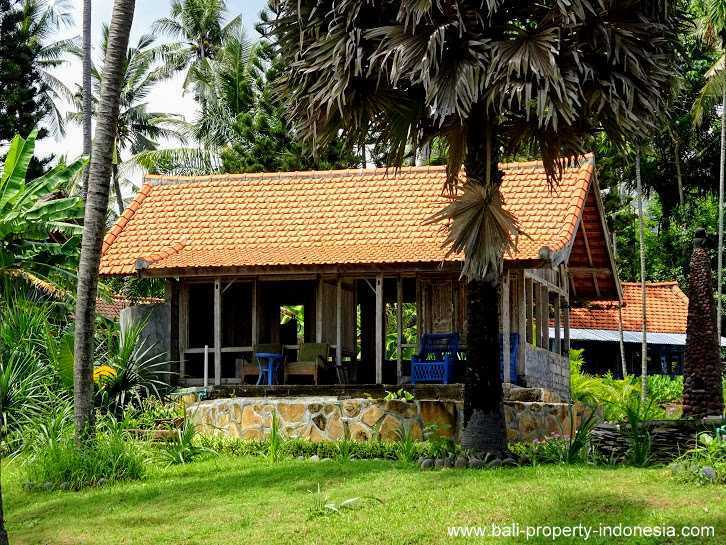 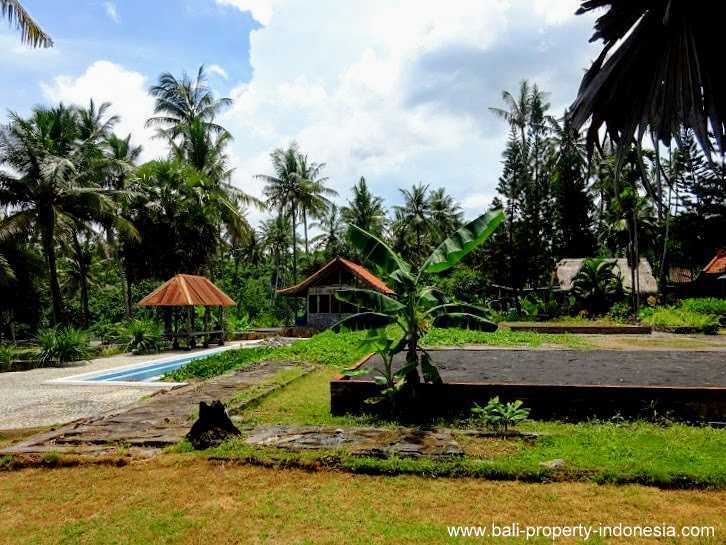 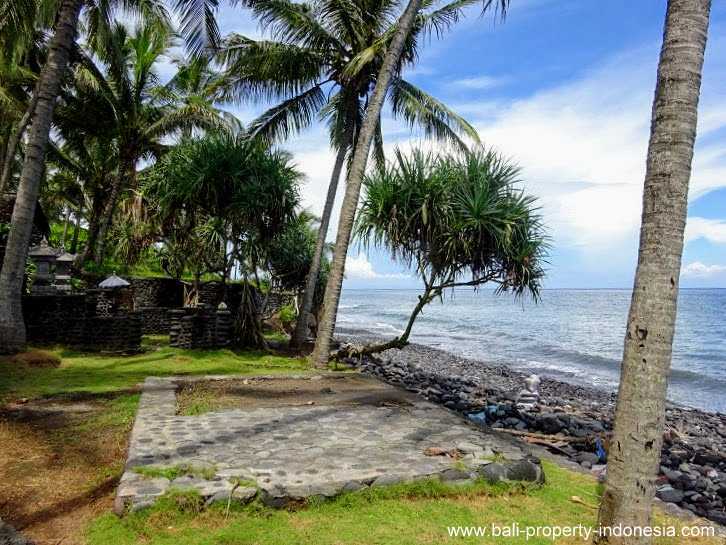 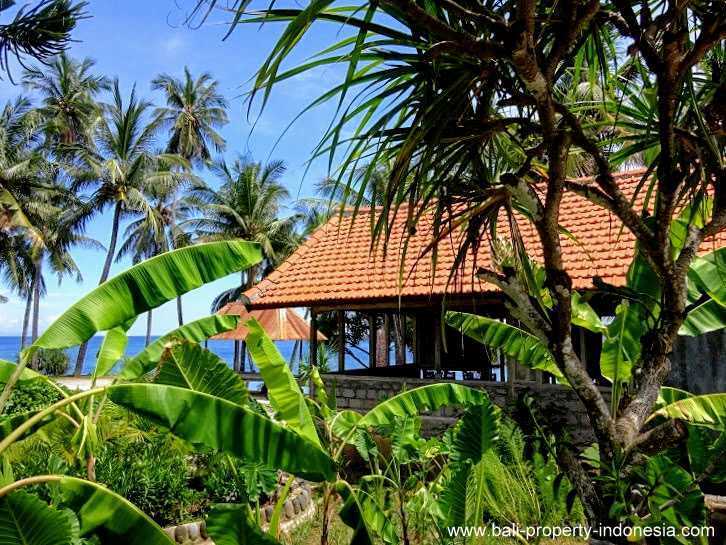 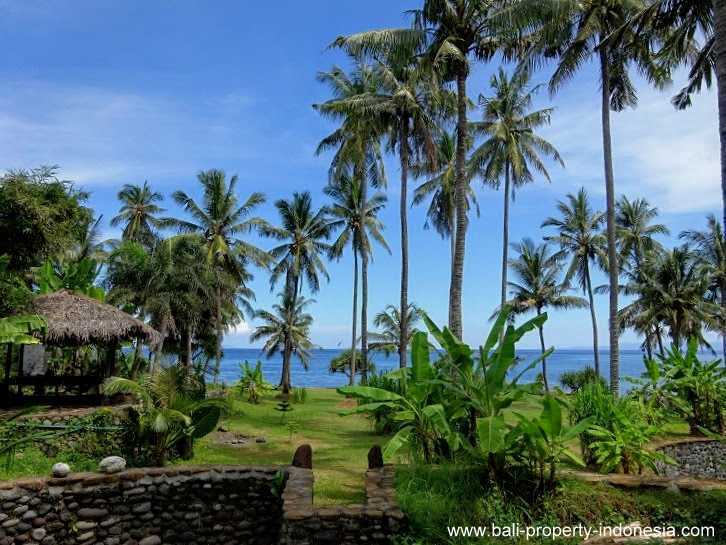 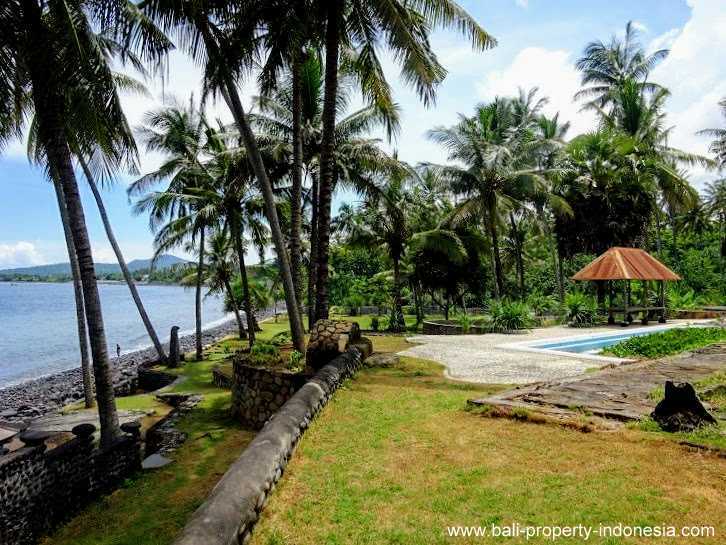 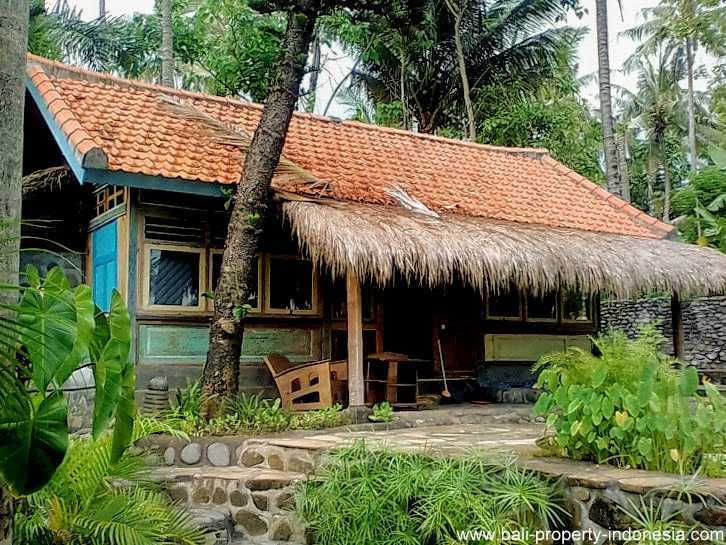 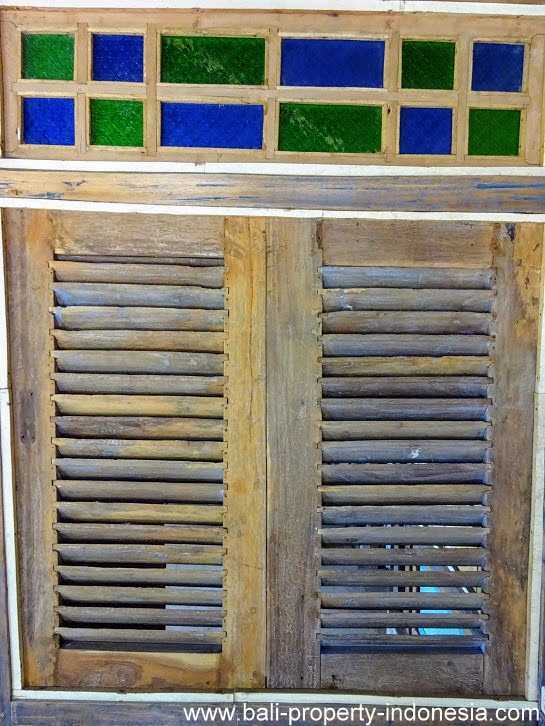 The property is located near Seraya in East Bali. 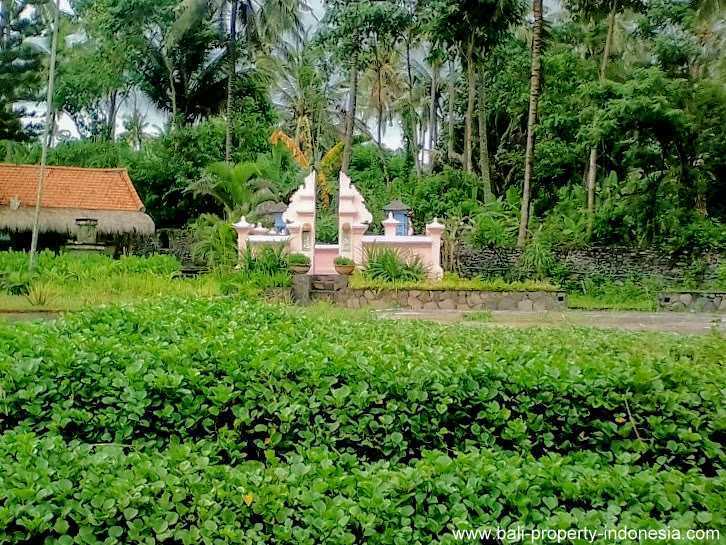 From the land you drive in about 15 minutes to Amlapura center. 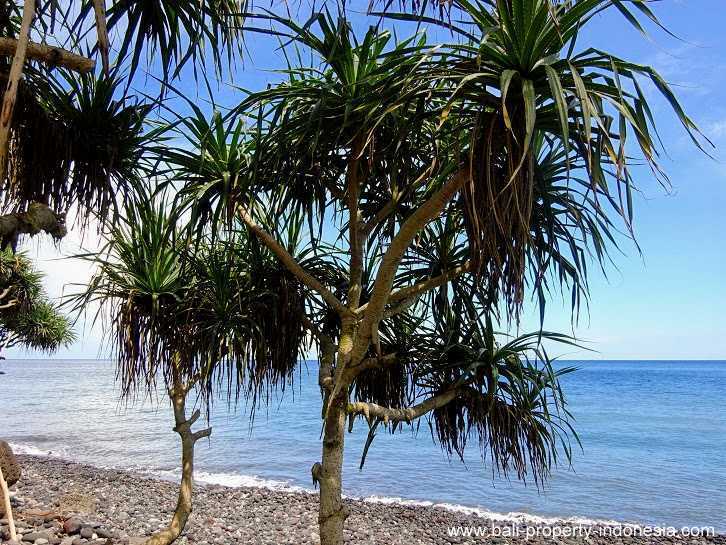 Candidasa is about half an hour driving away from the land. 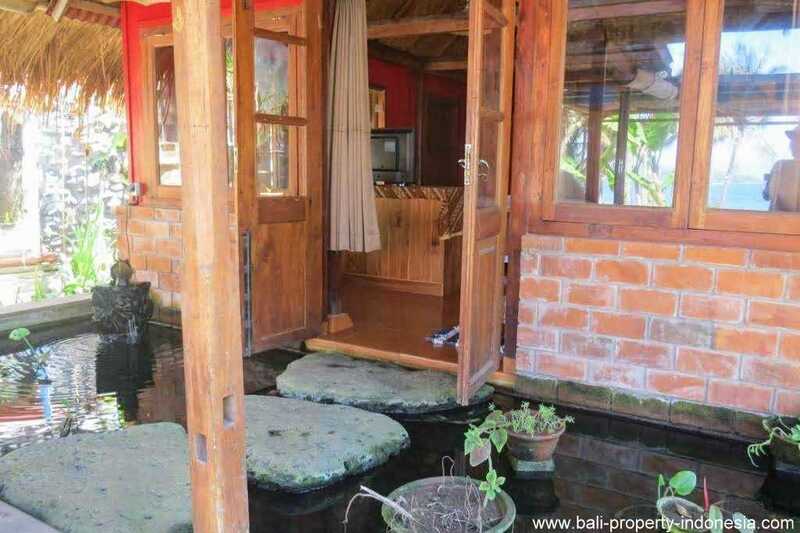 This property is available with a 20 year lease. 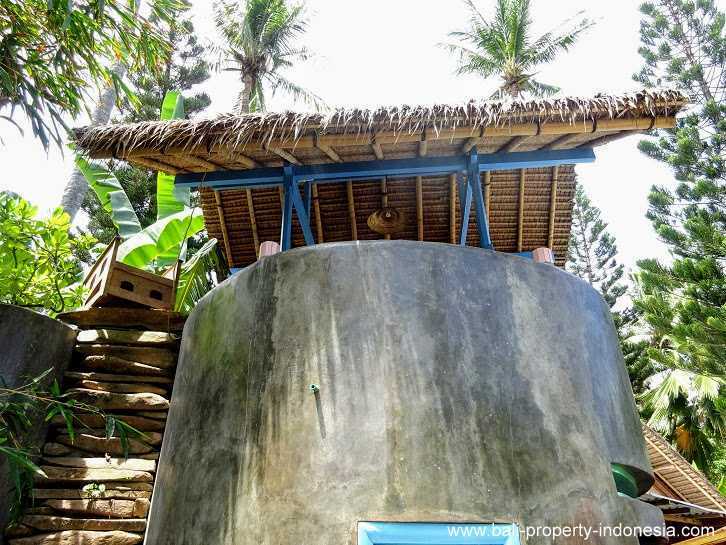 The price will be USD 595.000. 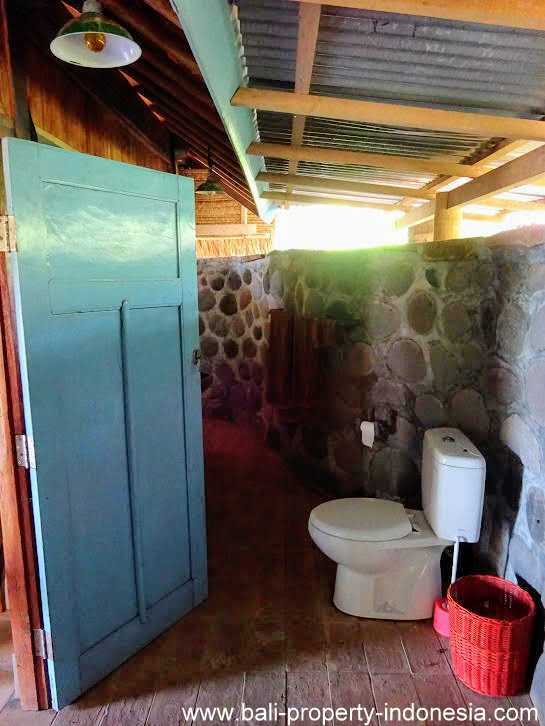 There is an option available to extend this lease with again 10 more years. 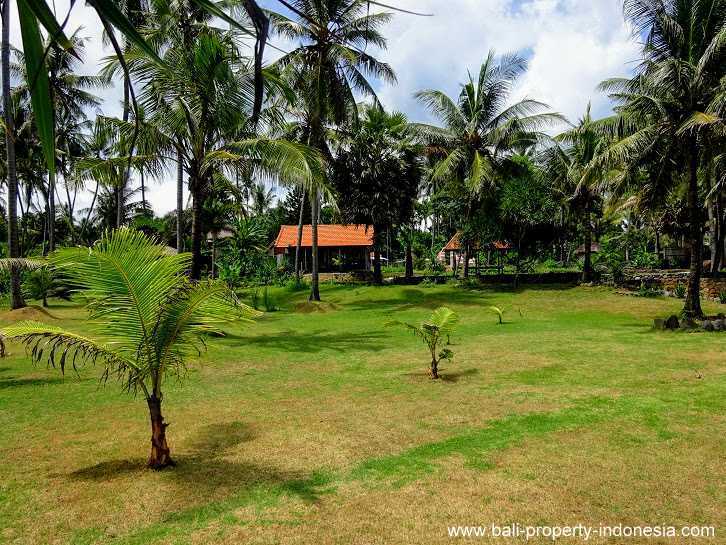 You prefer freehold? 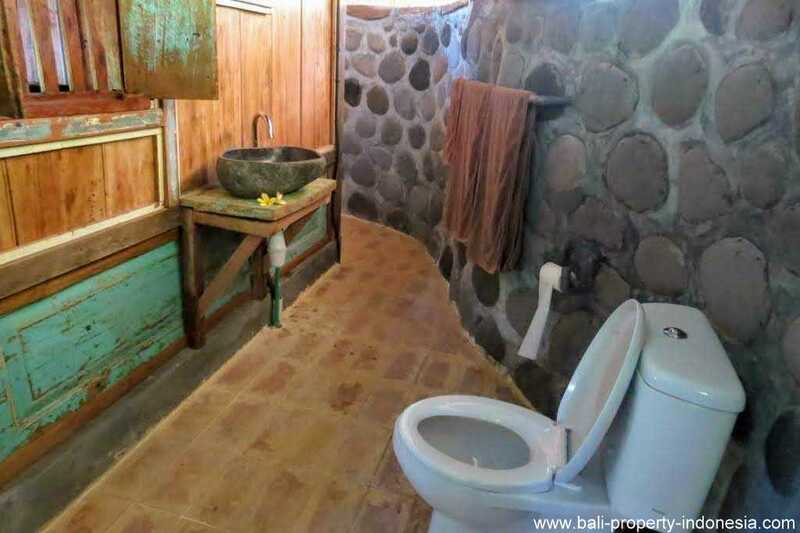 That is also possible. 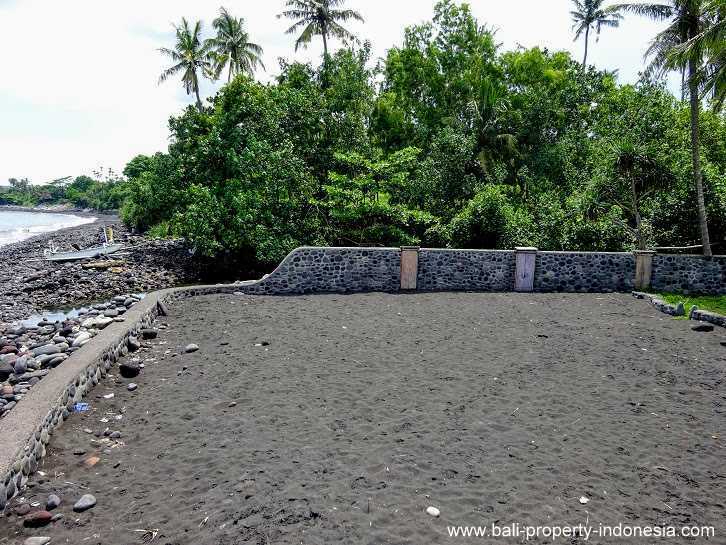 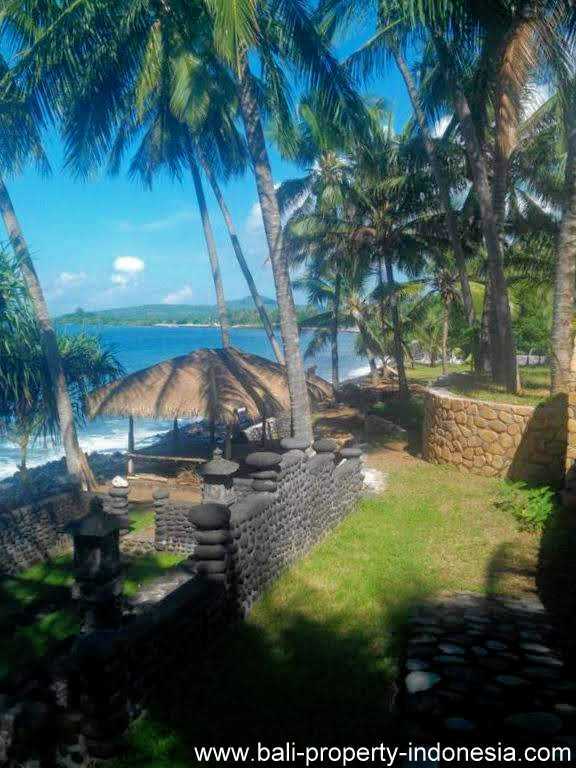 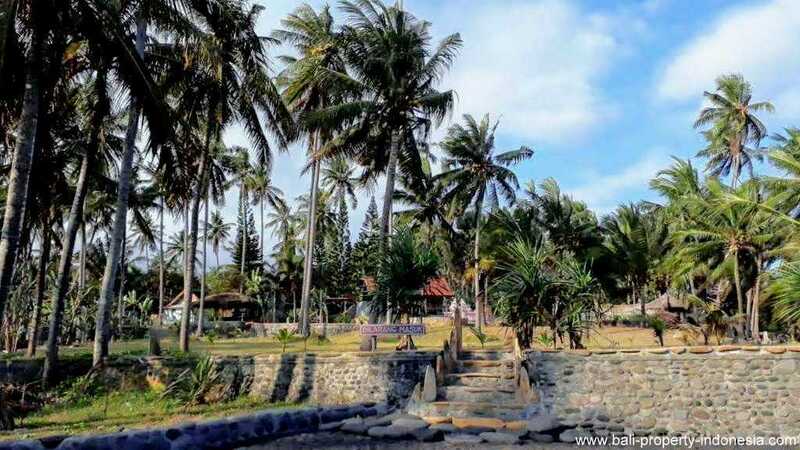 This huge freehold piece of beachfront land including the existing buildings is for sale for USD 3.000.000.